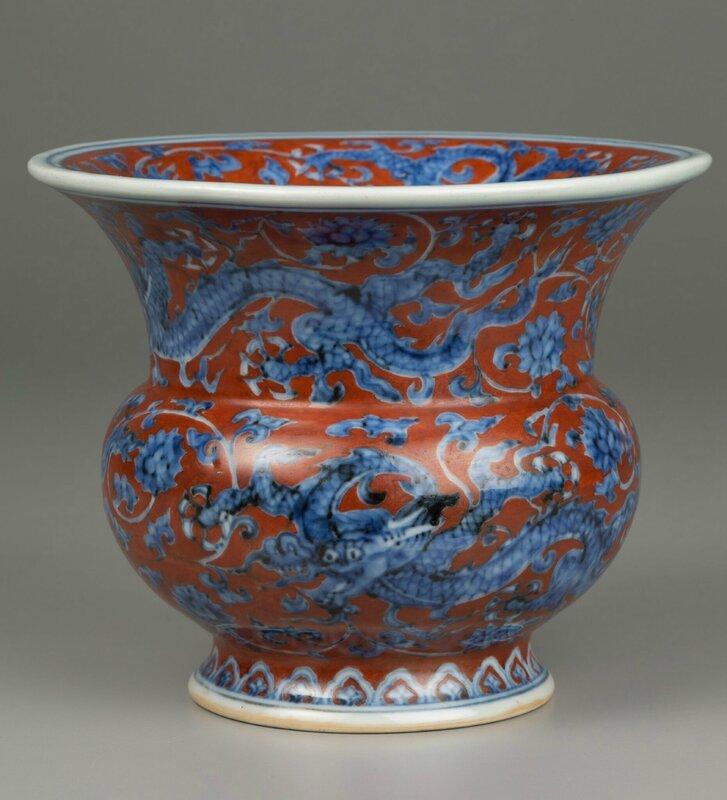 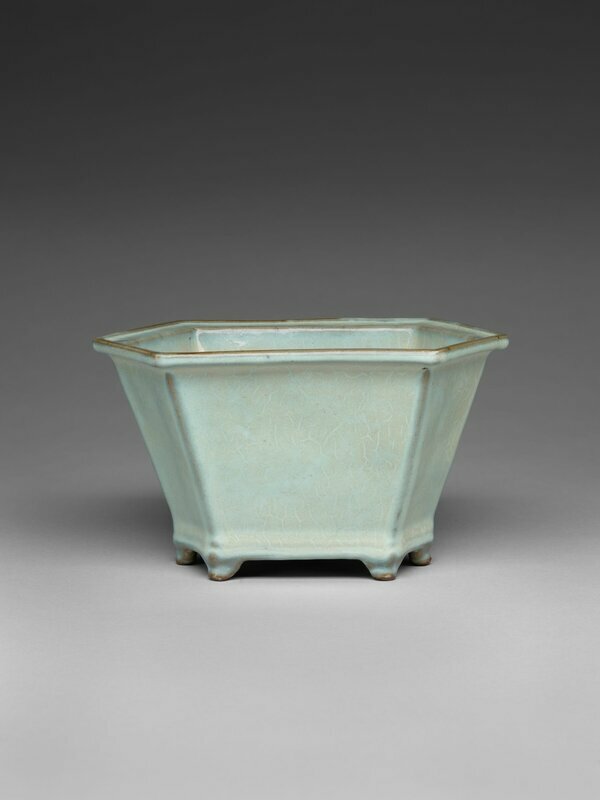 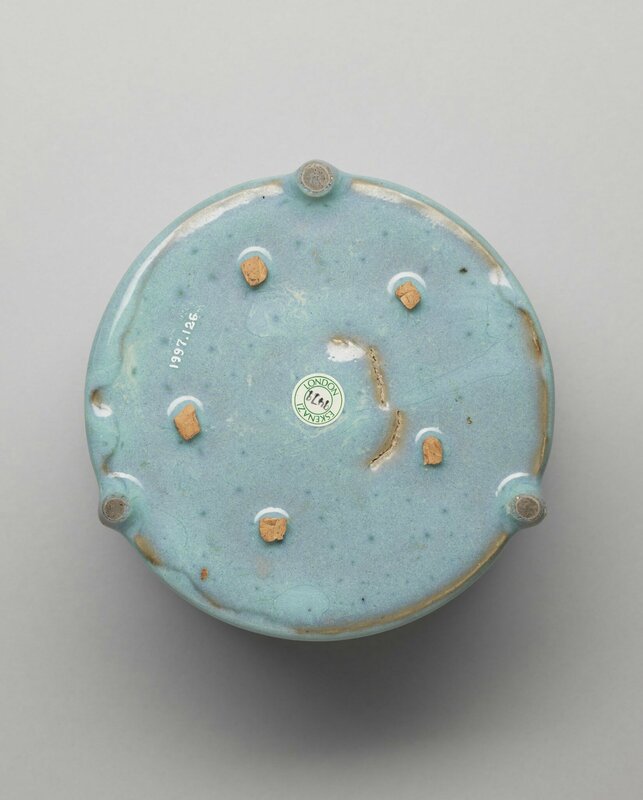 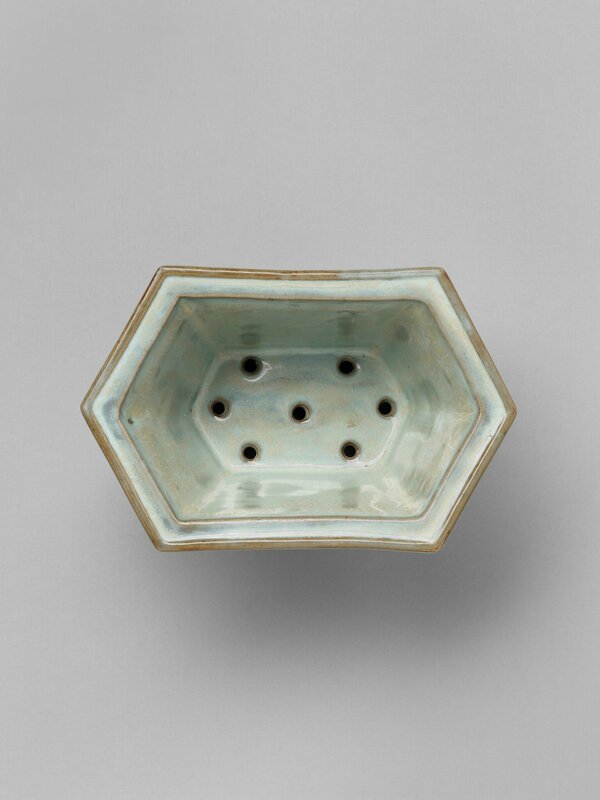 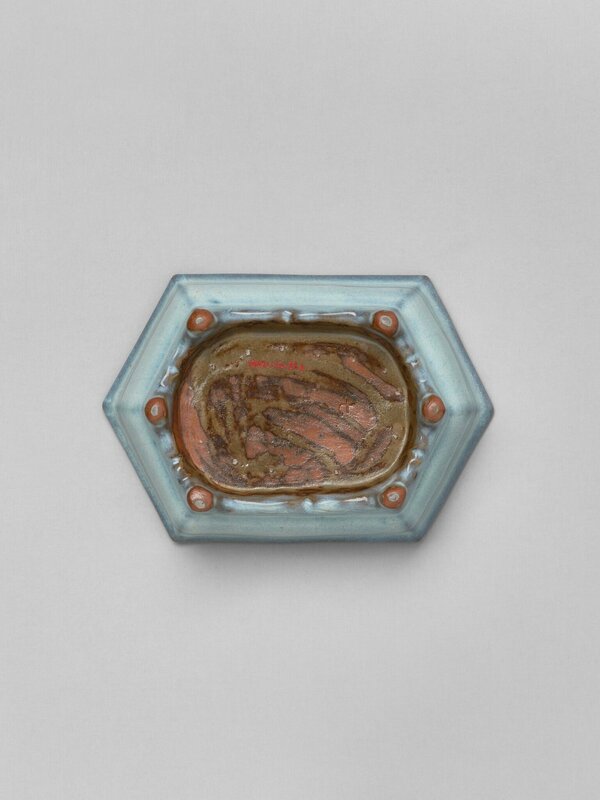 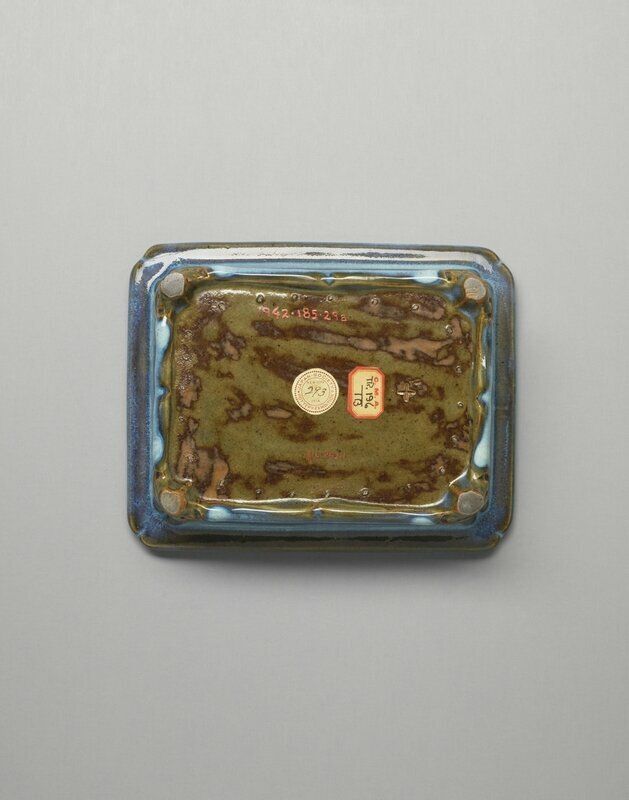 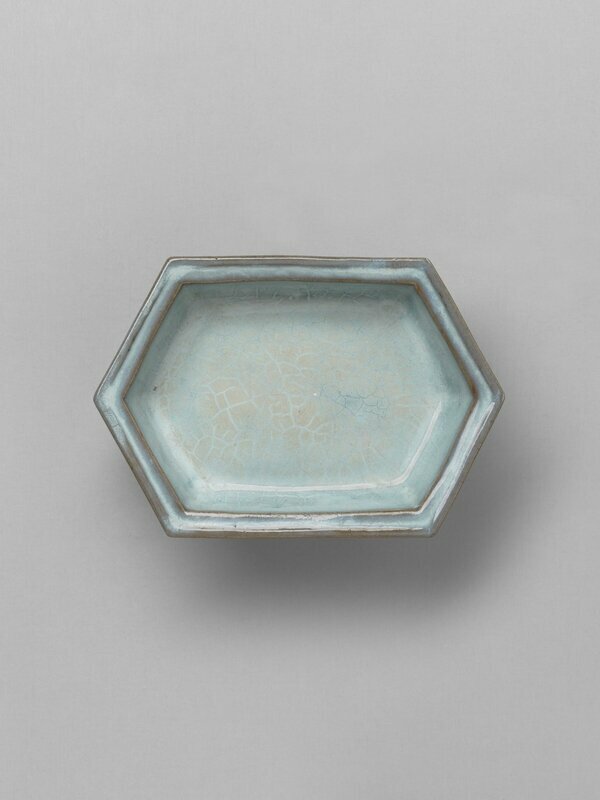 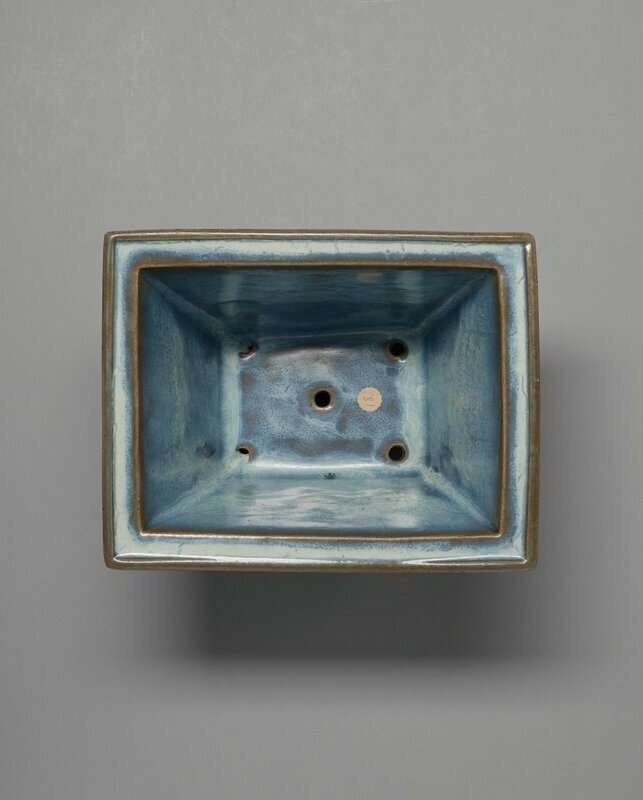 The Harvard Art Museums hold the largest and finest collection in the West of a rare and strikingly beautiful type of ceramic ware used in the private quarters of the Forbidden City, the Chinese imperial palace in Beijing. 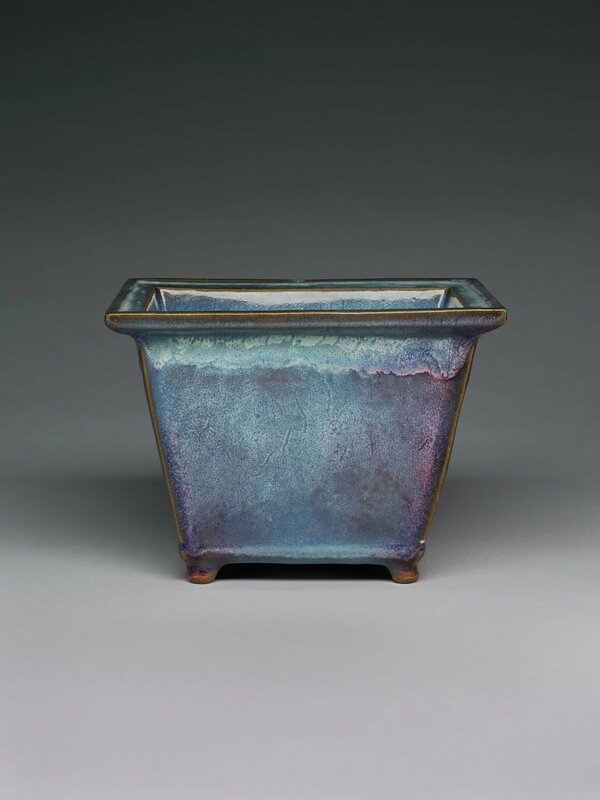 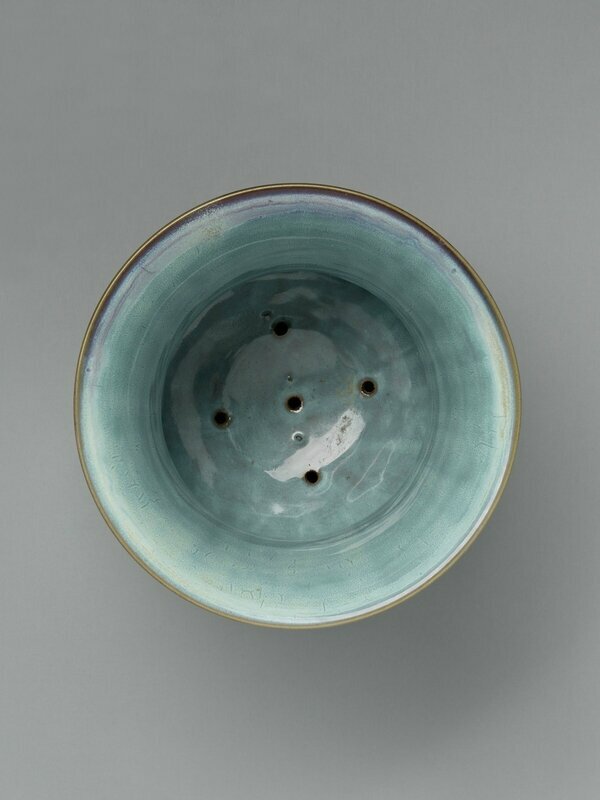 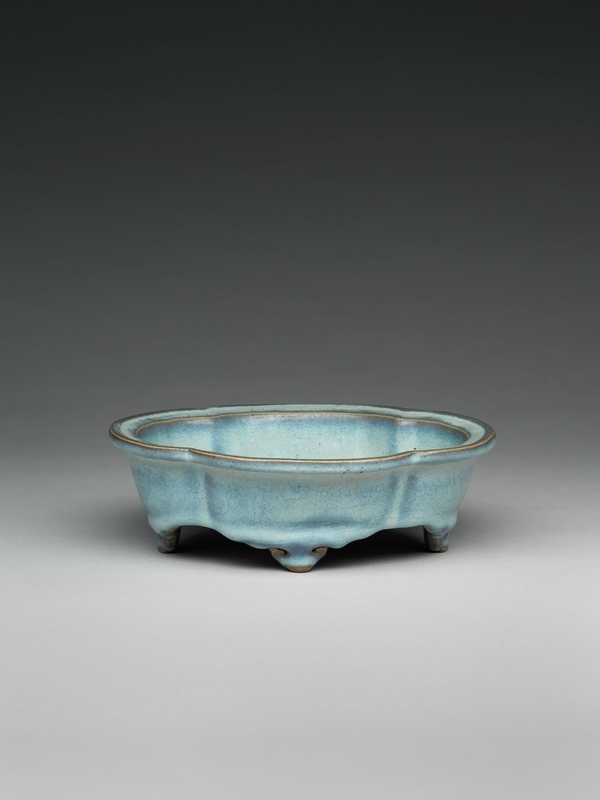 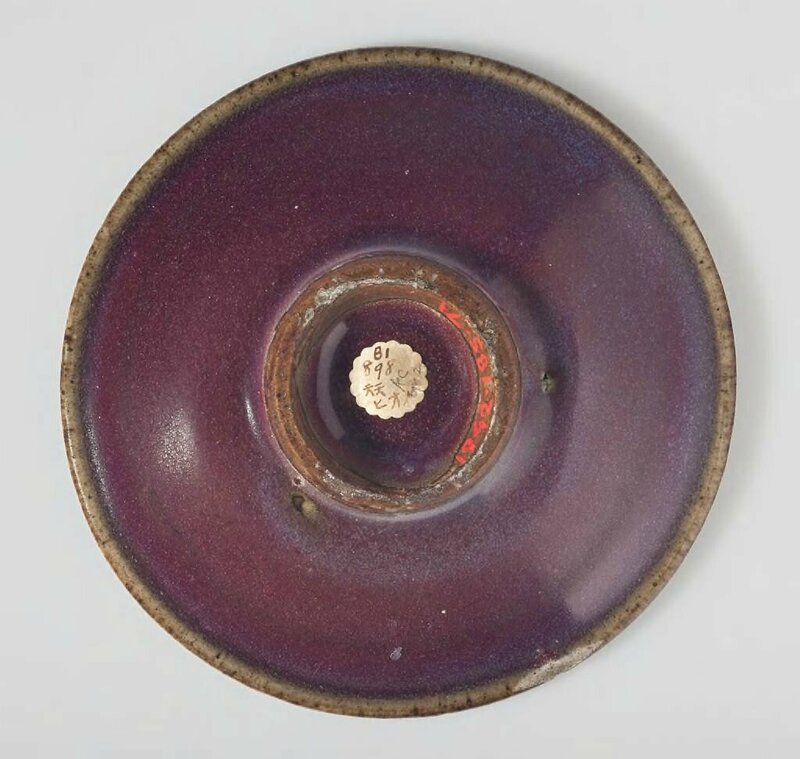 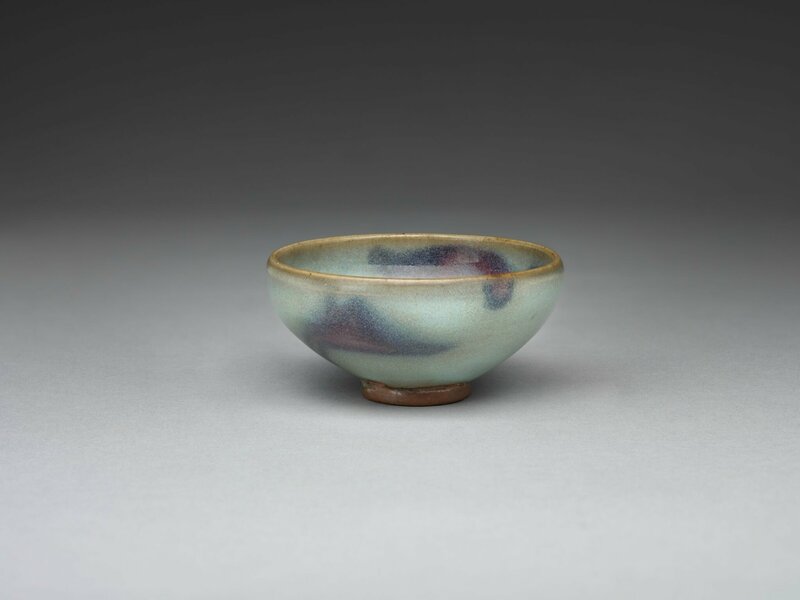 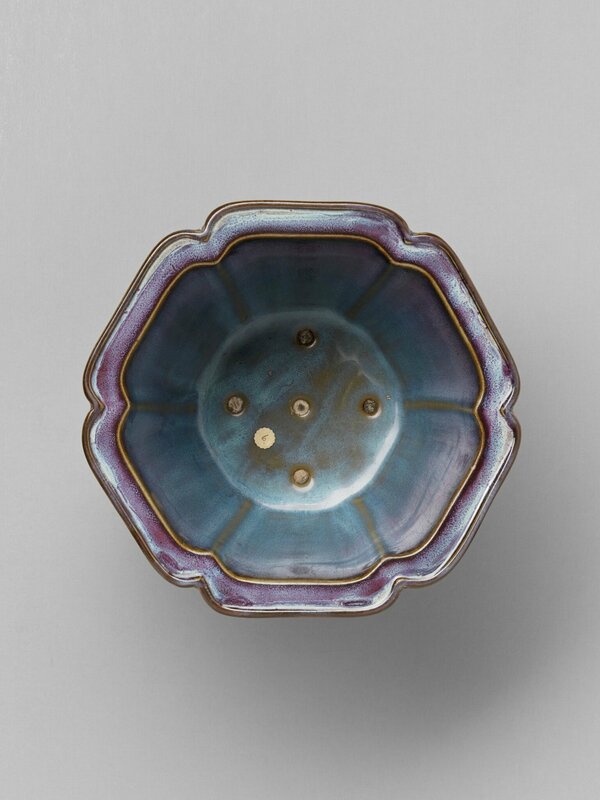 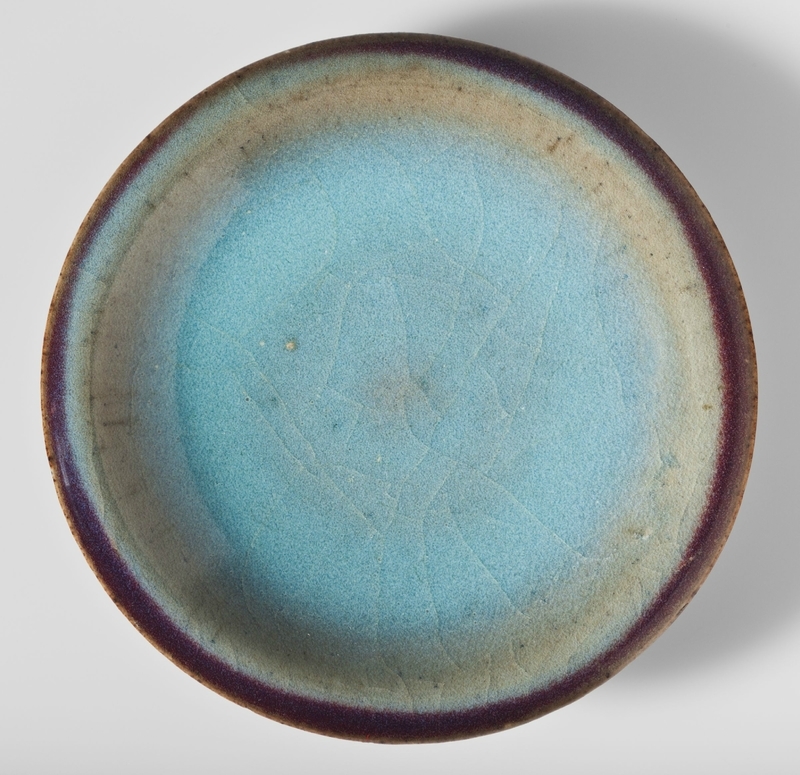 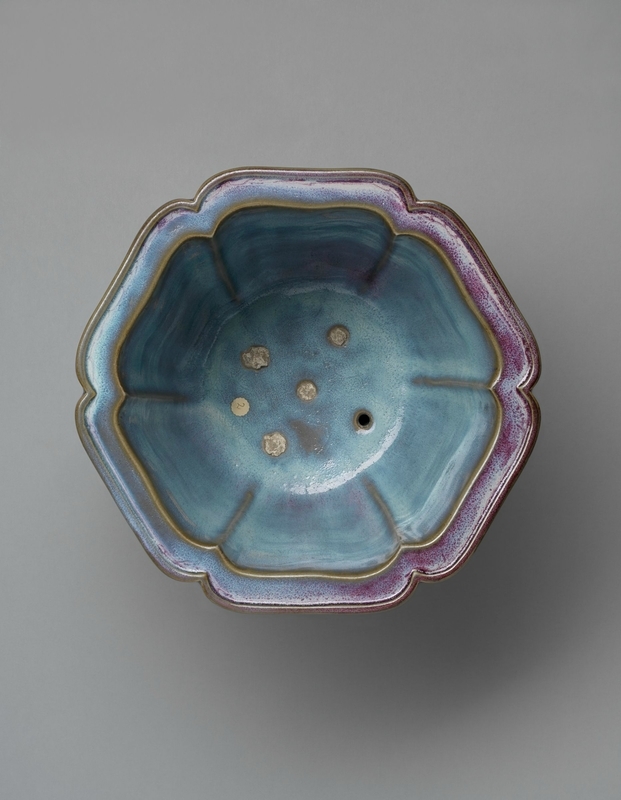 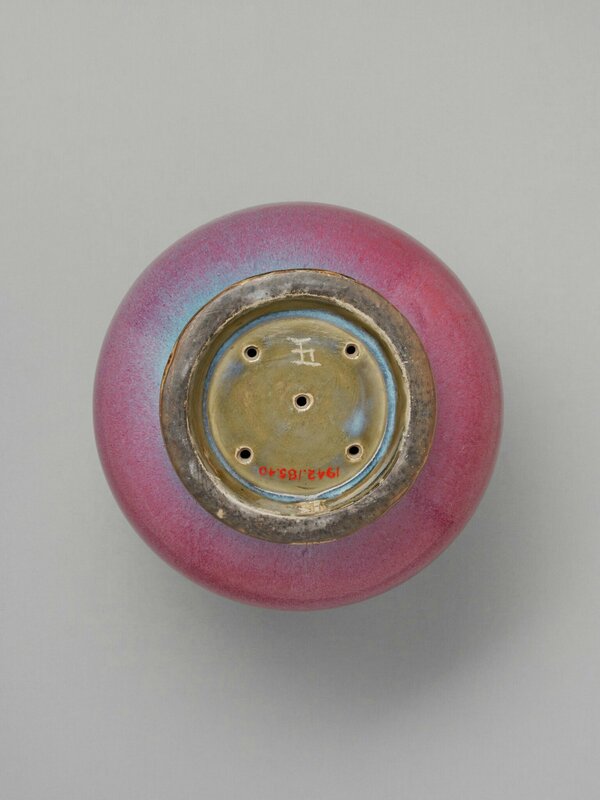 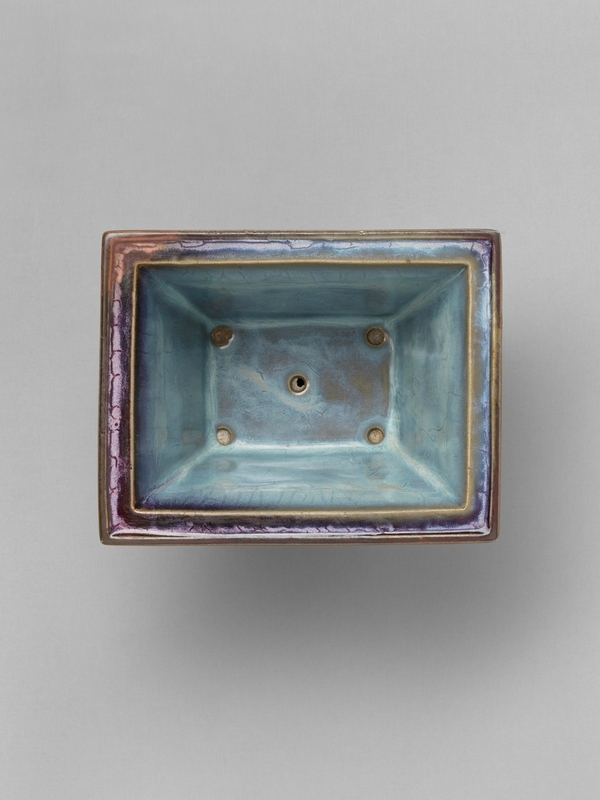 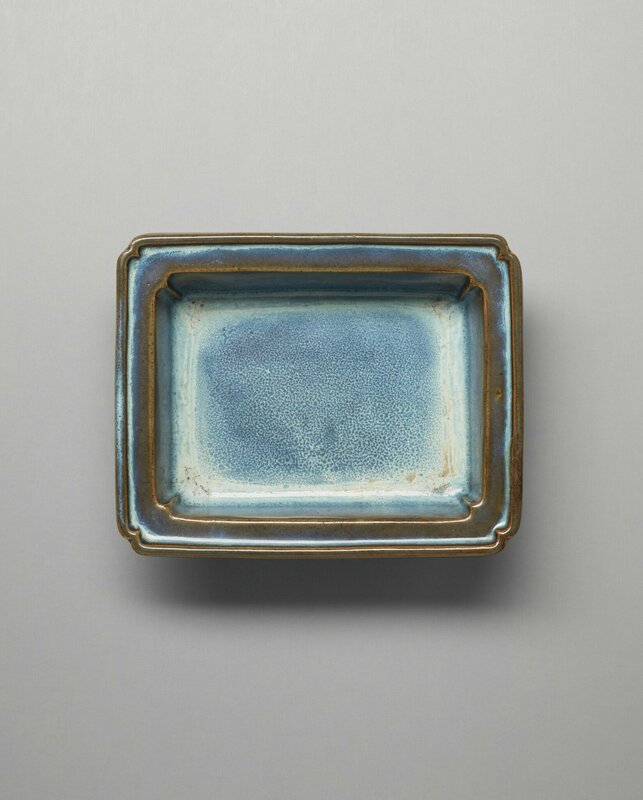 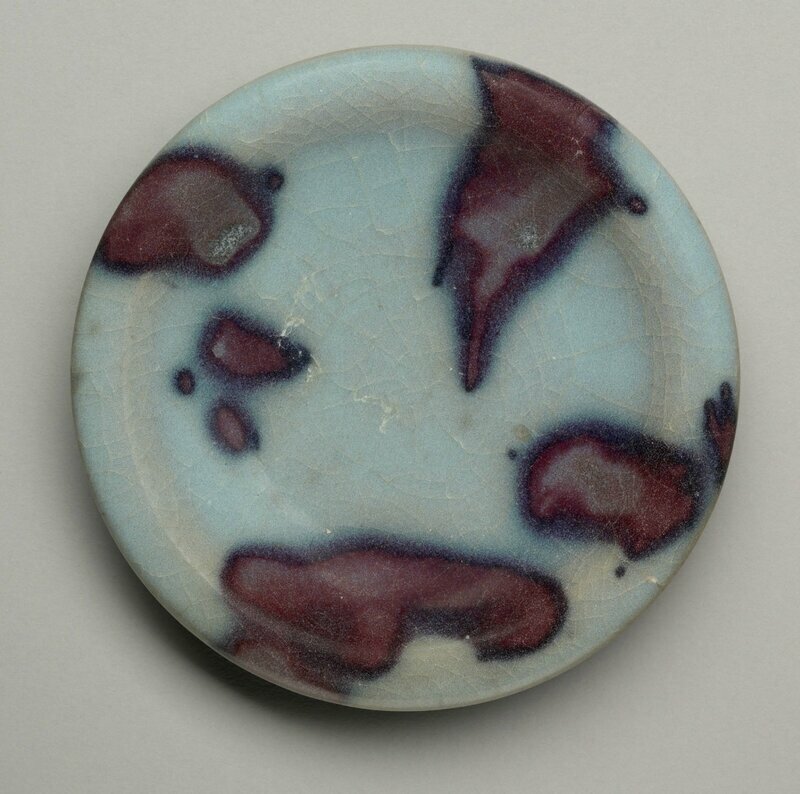 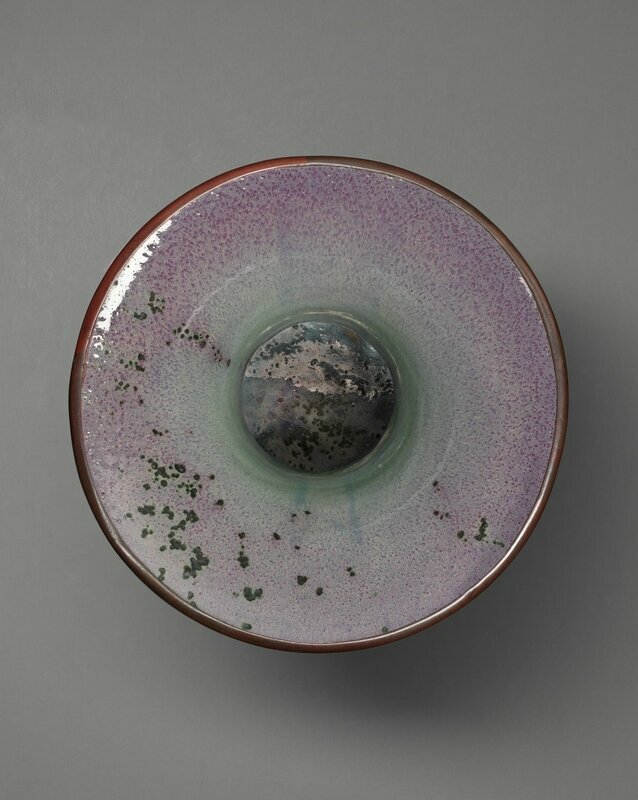 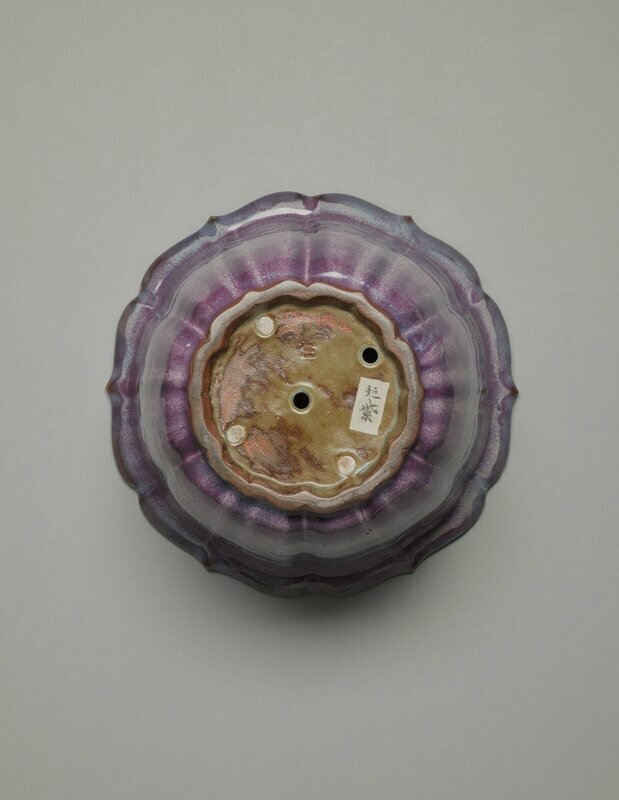 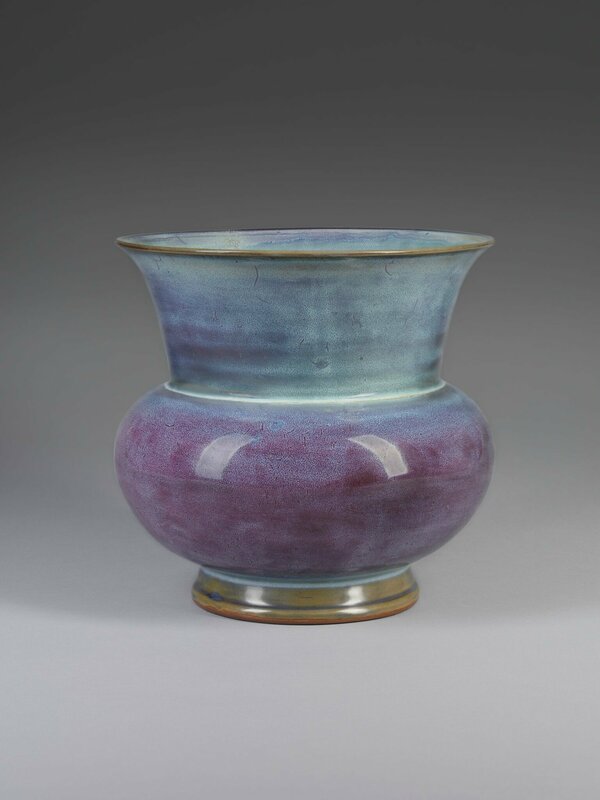 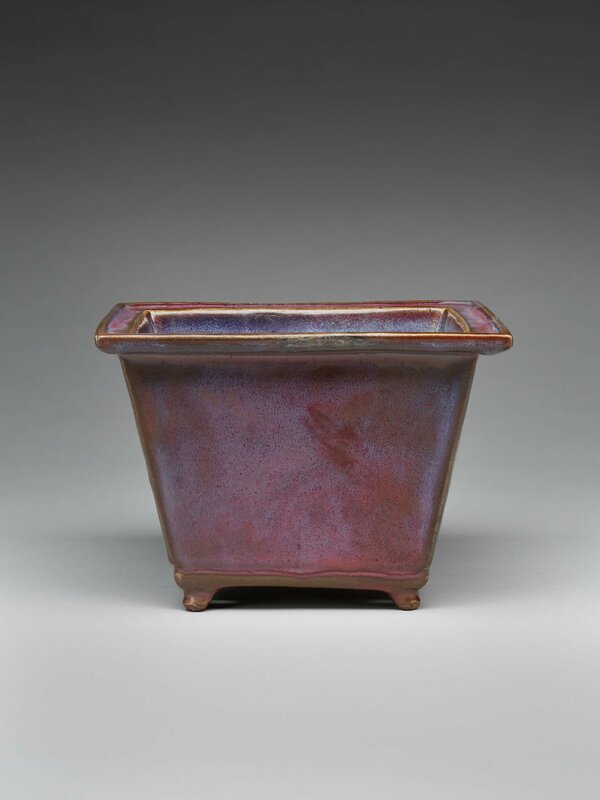 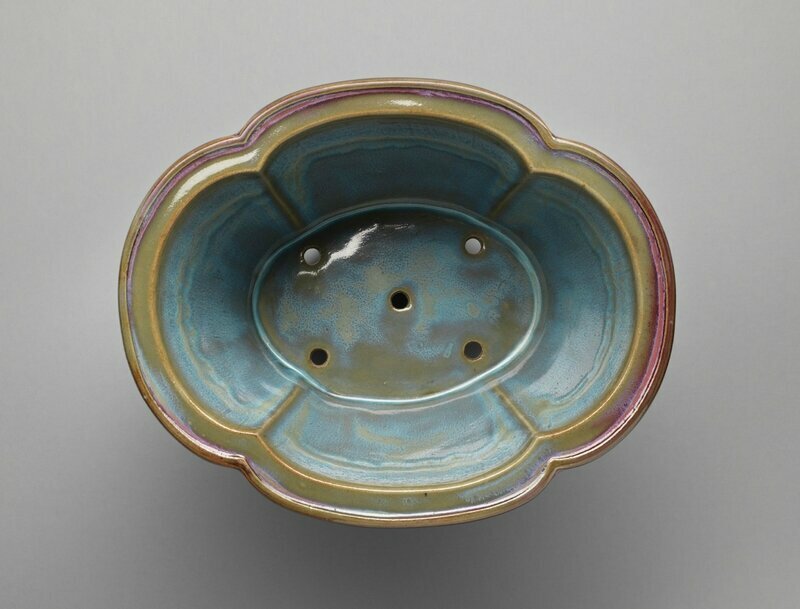 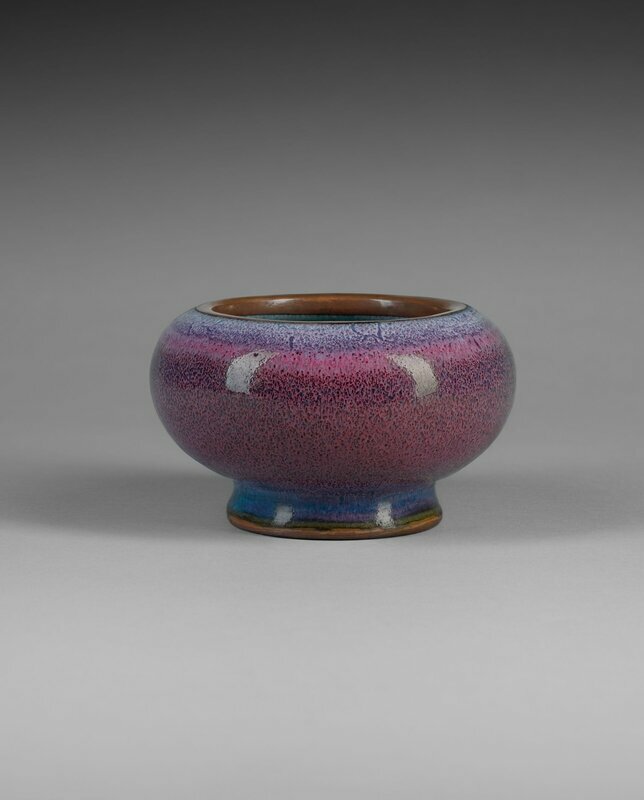 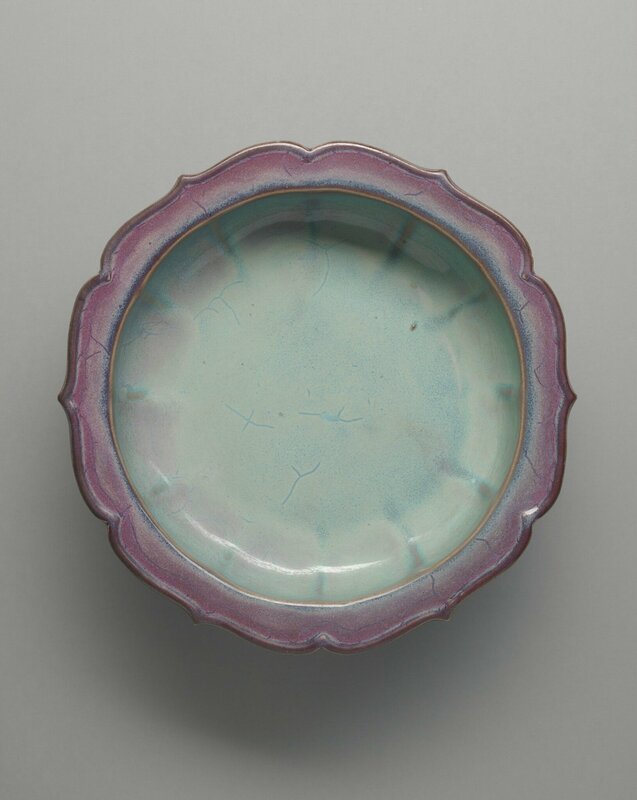 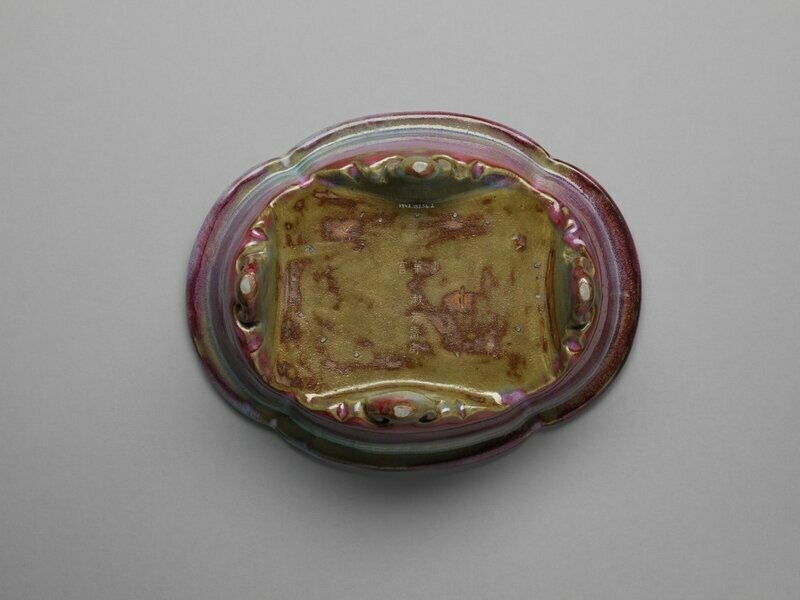 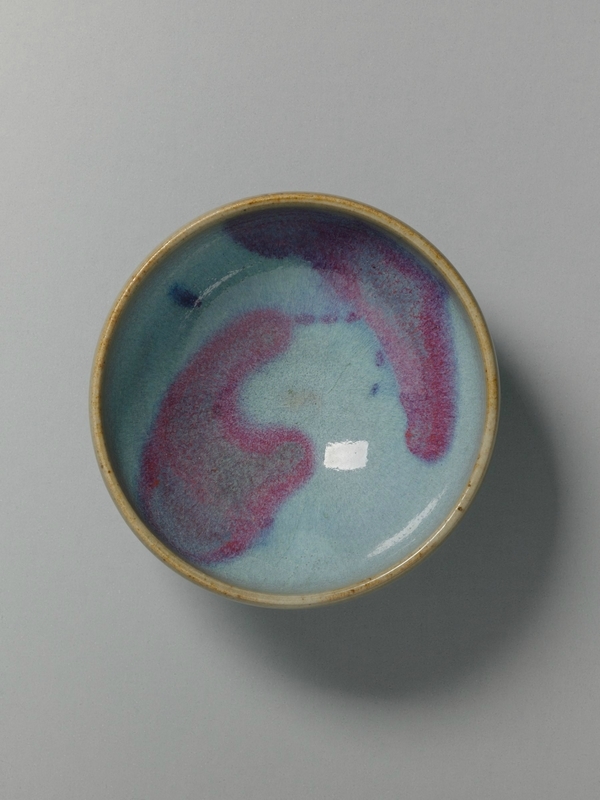 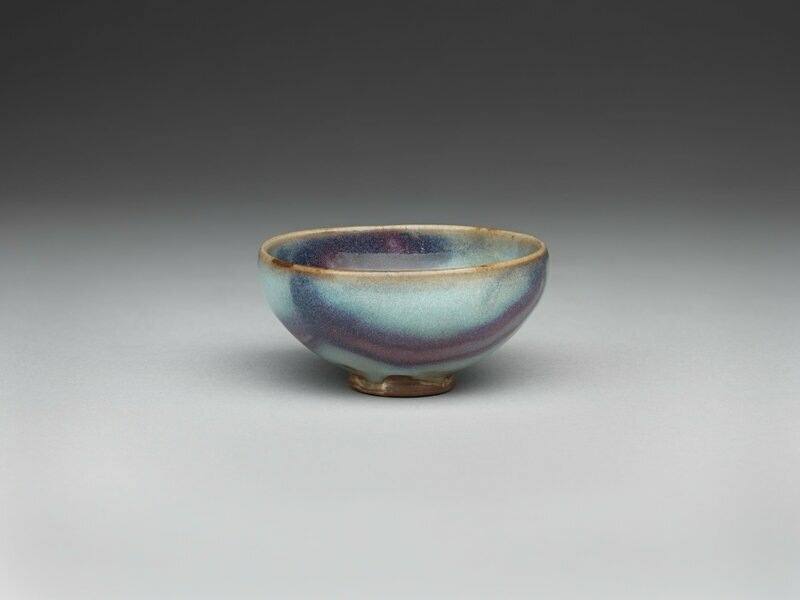 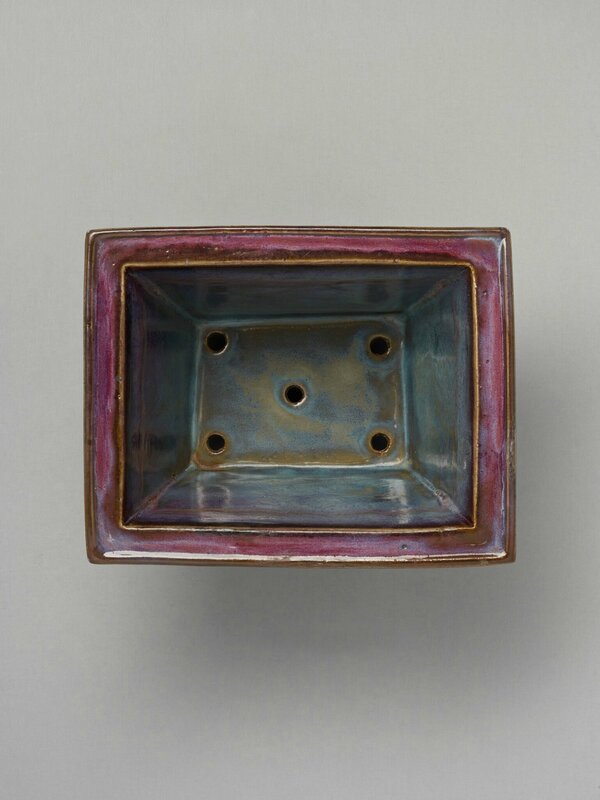 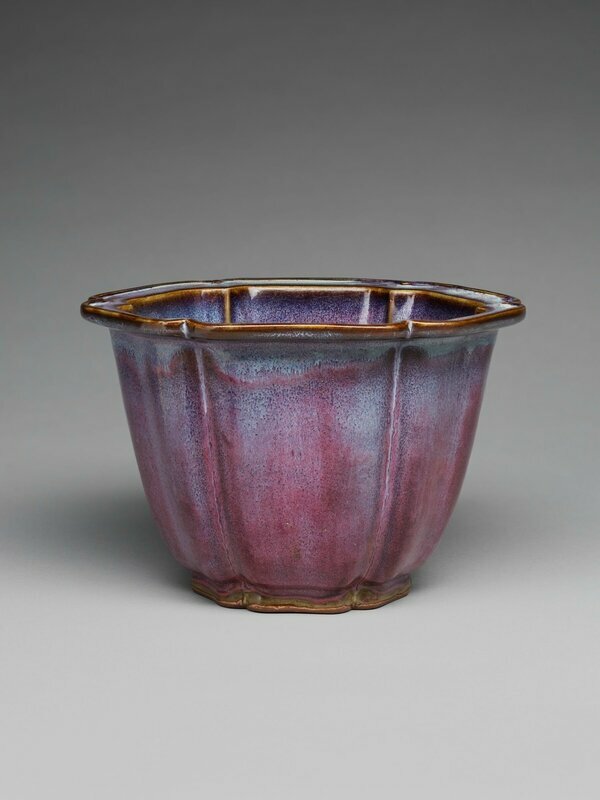 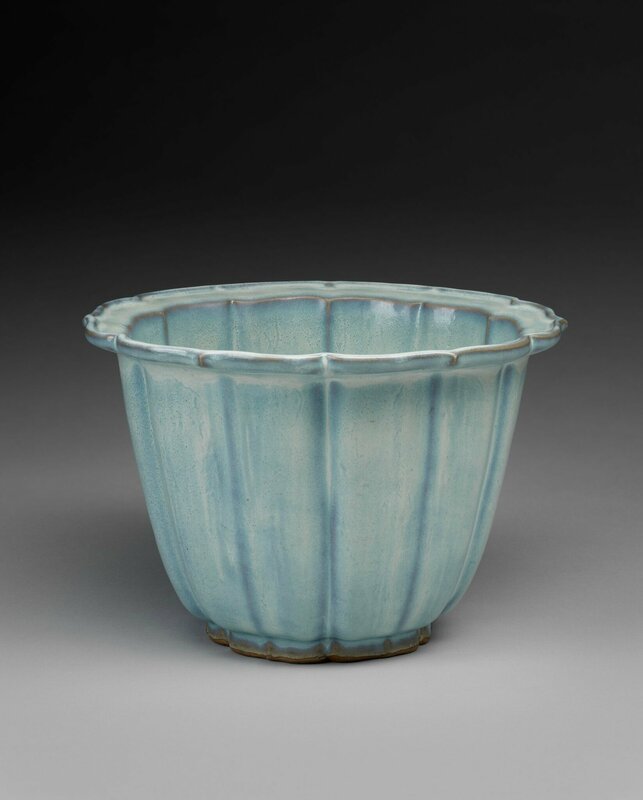 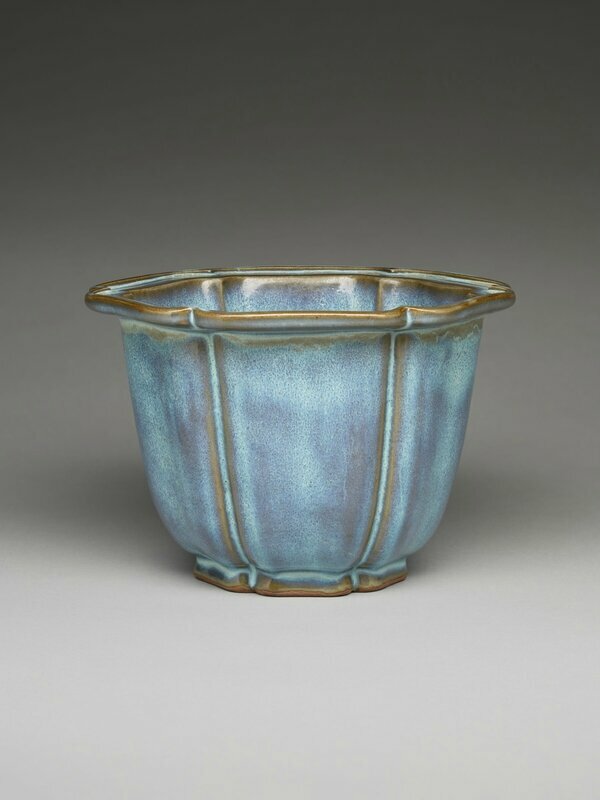 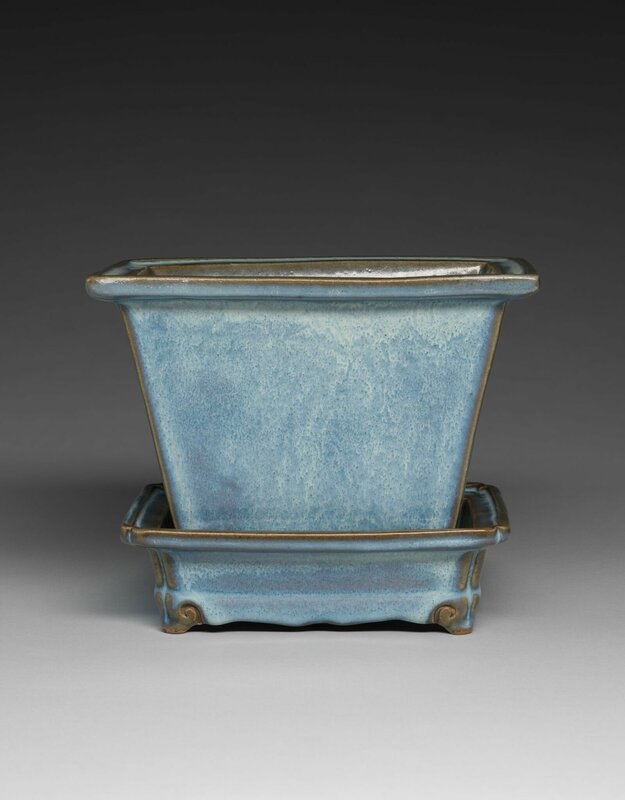 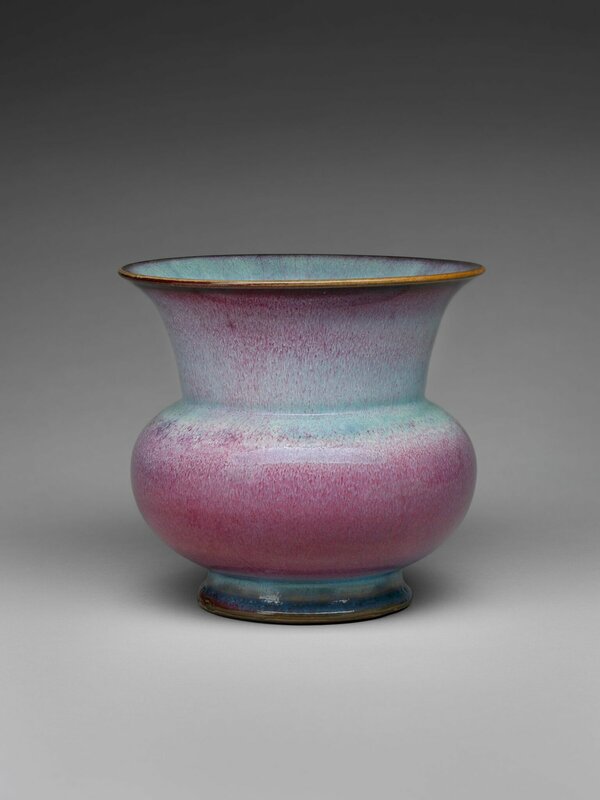 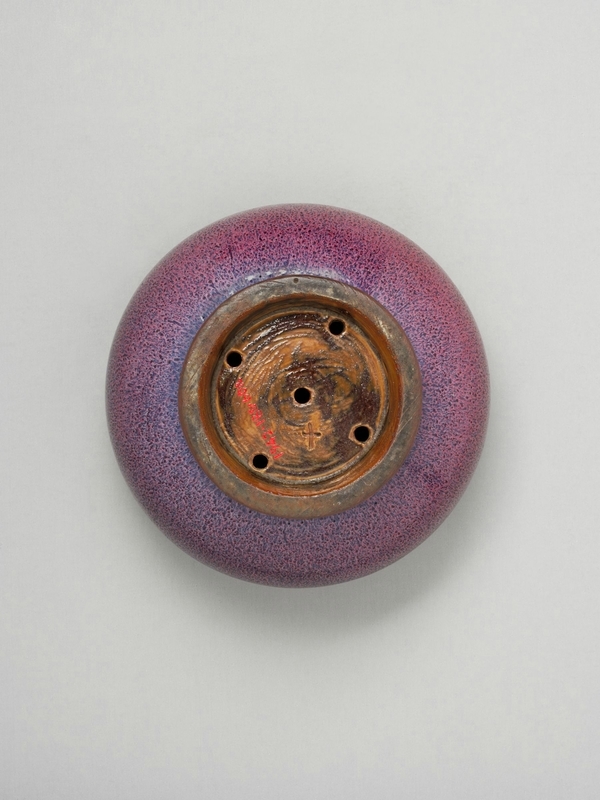 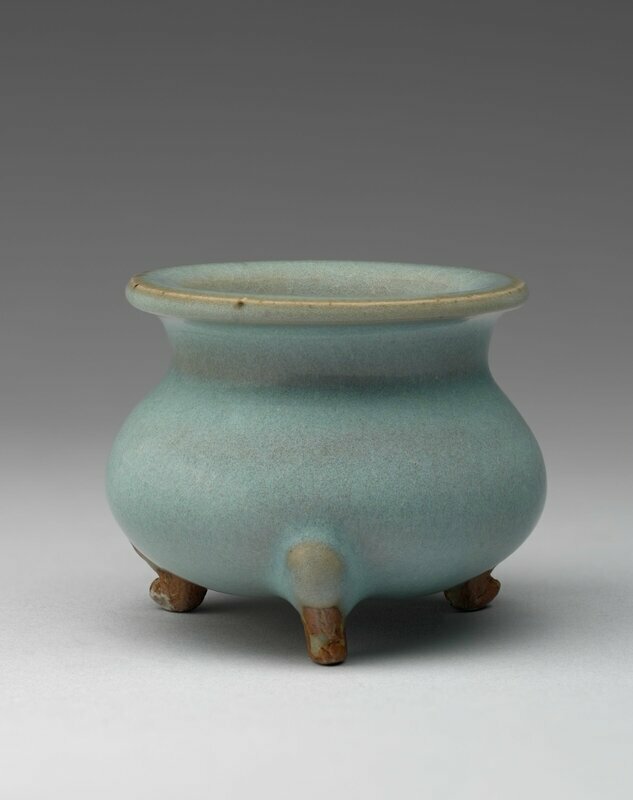 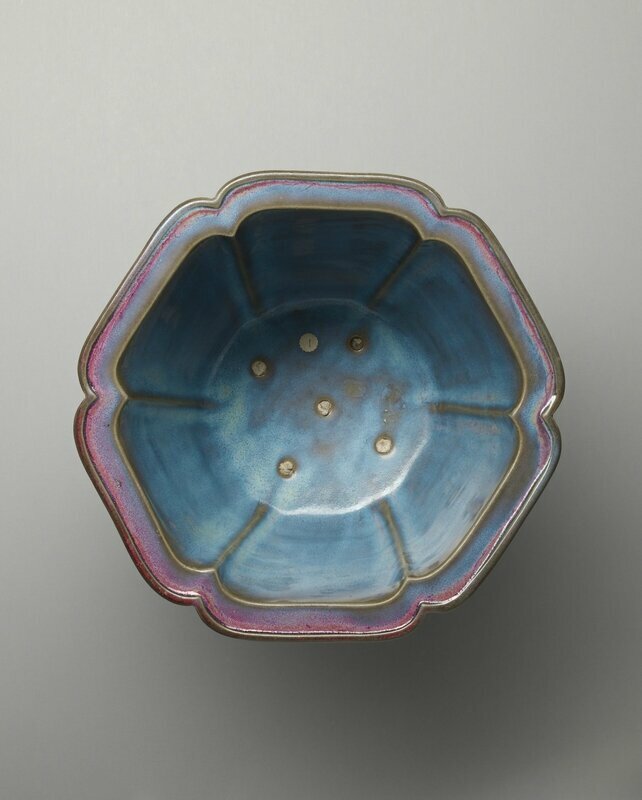 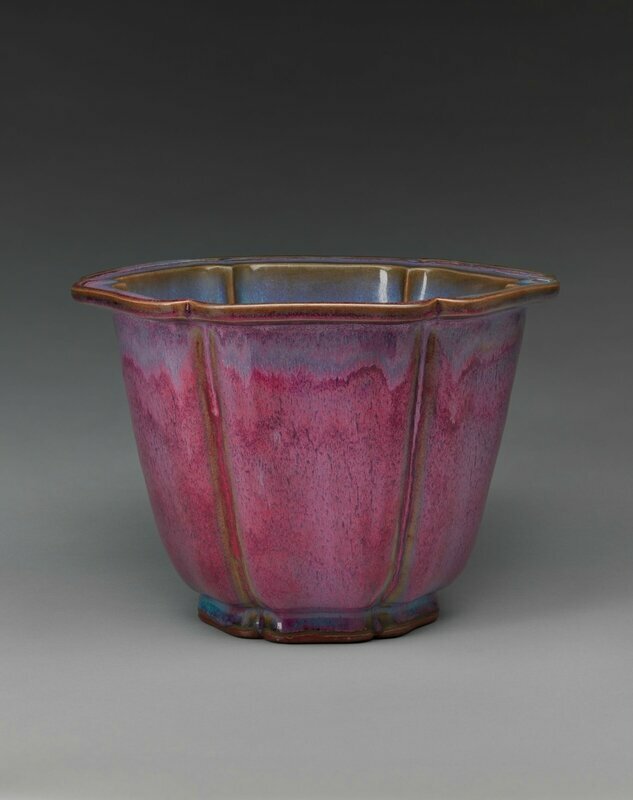 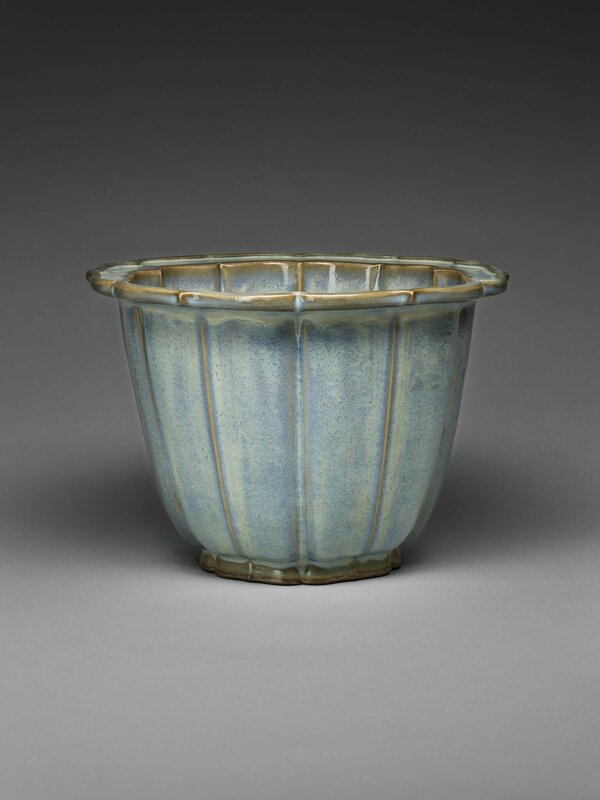 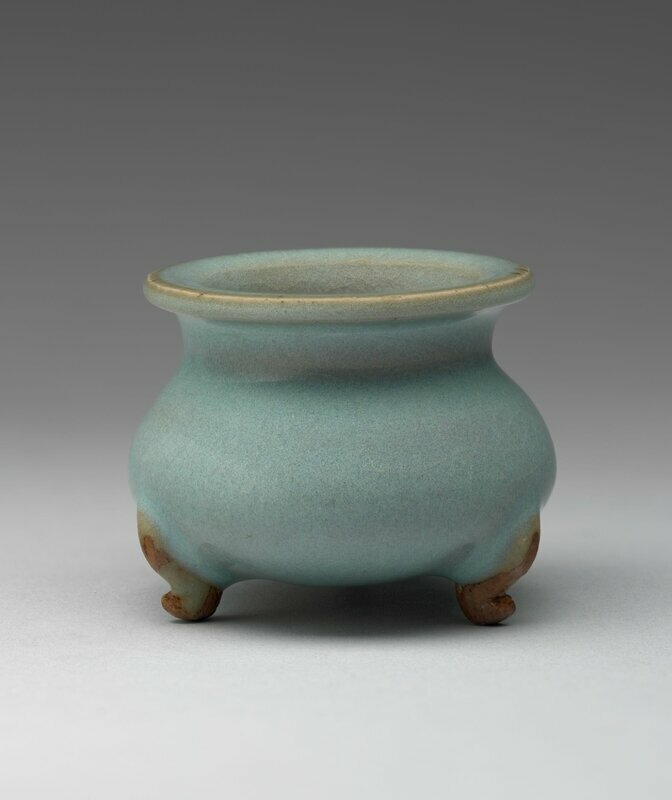 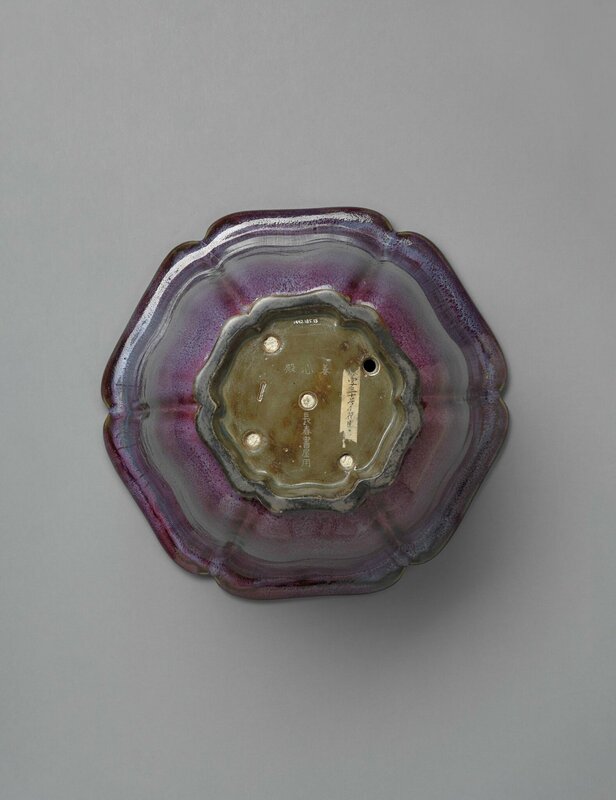 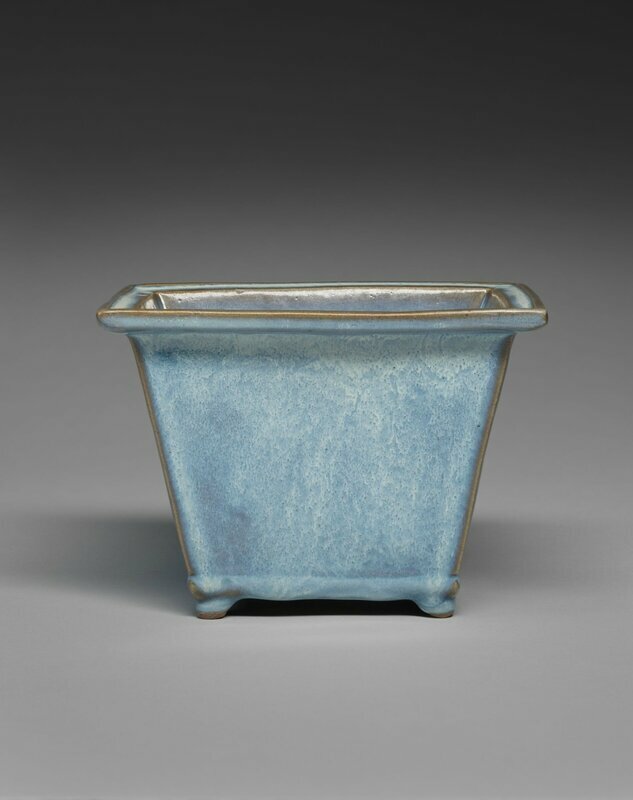 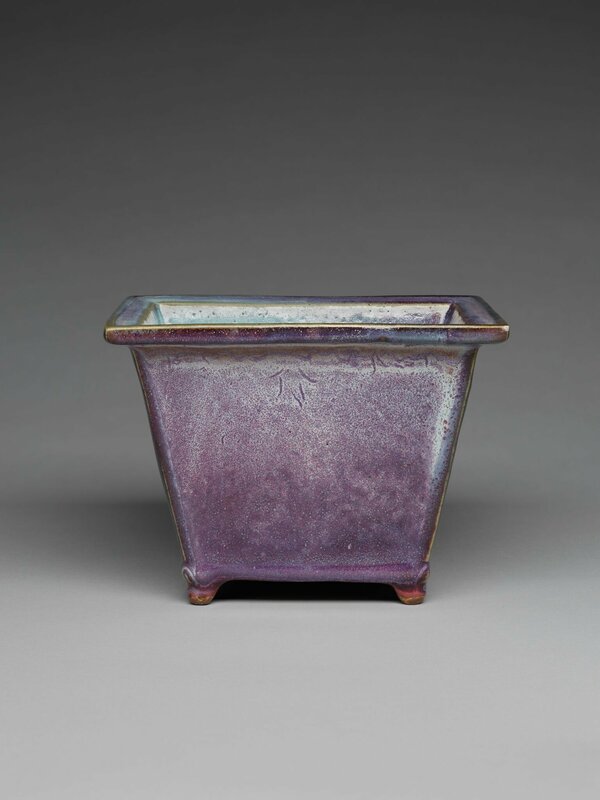 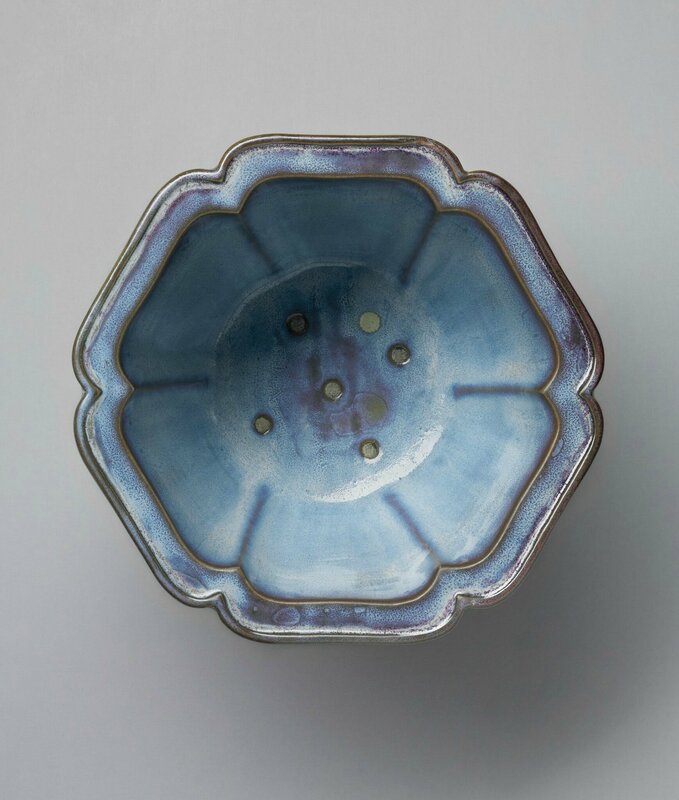 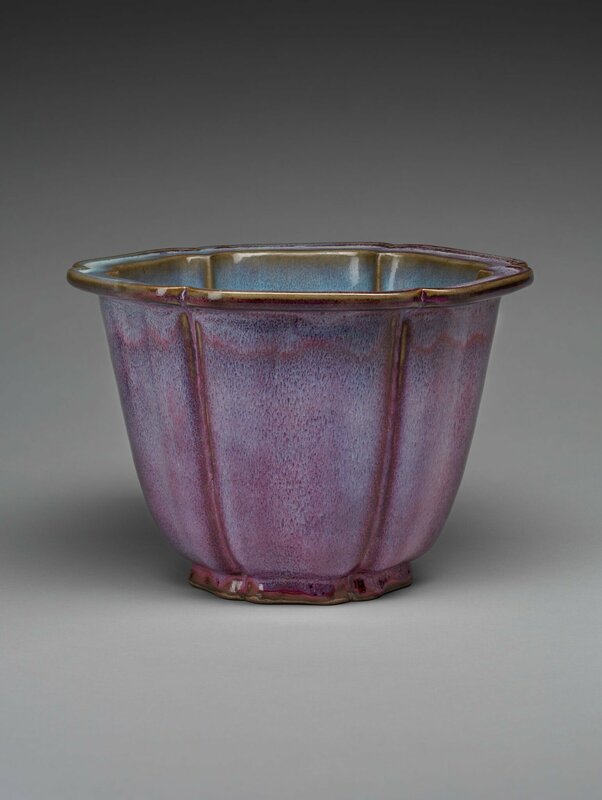 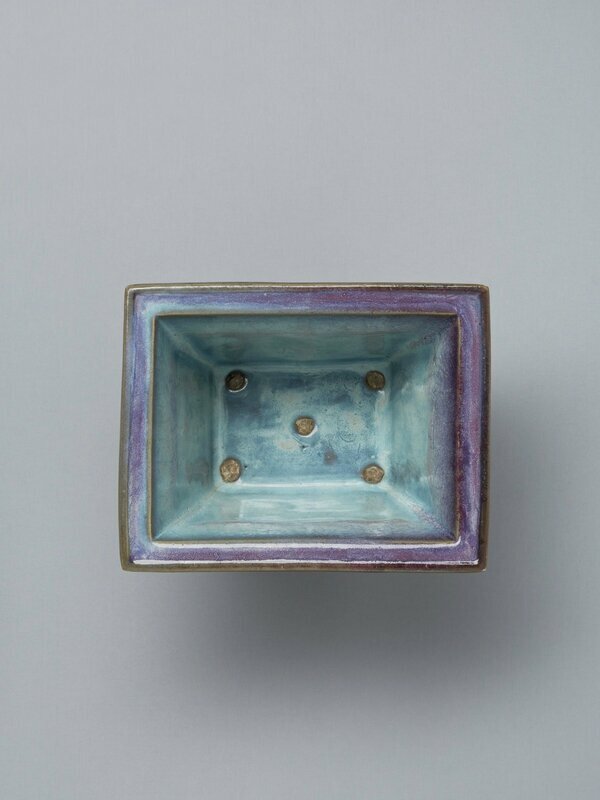 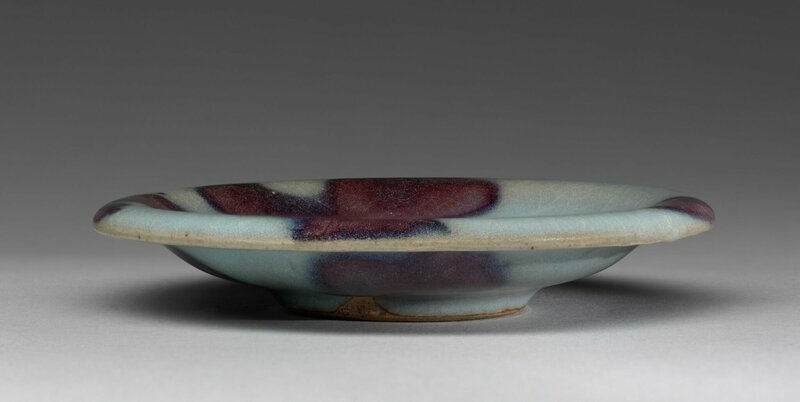 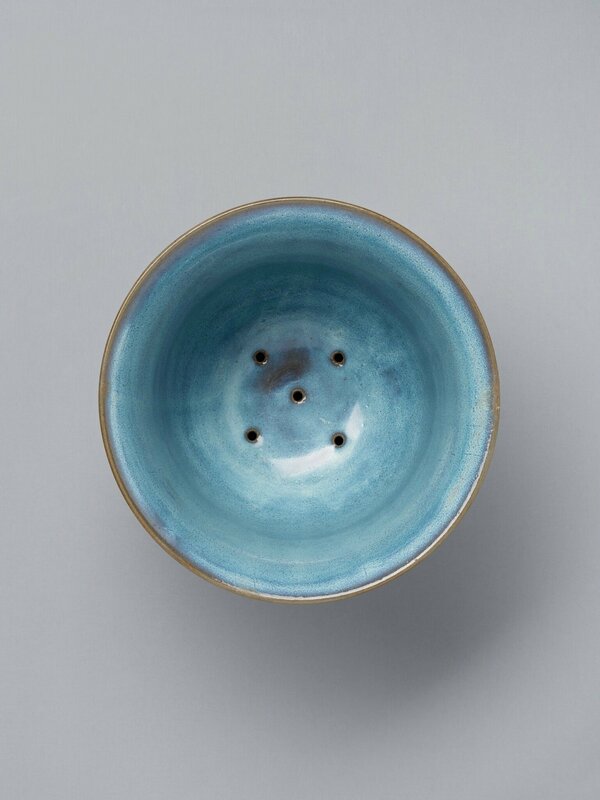 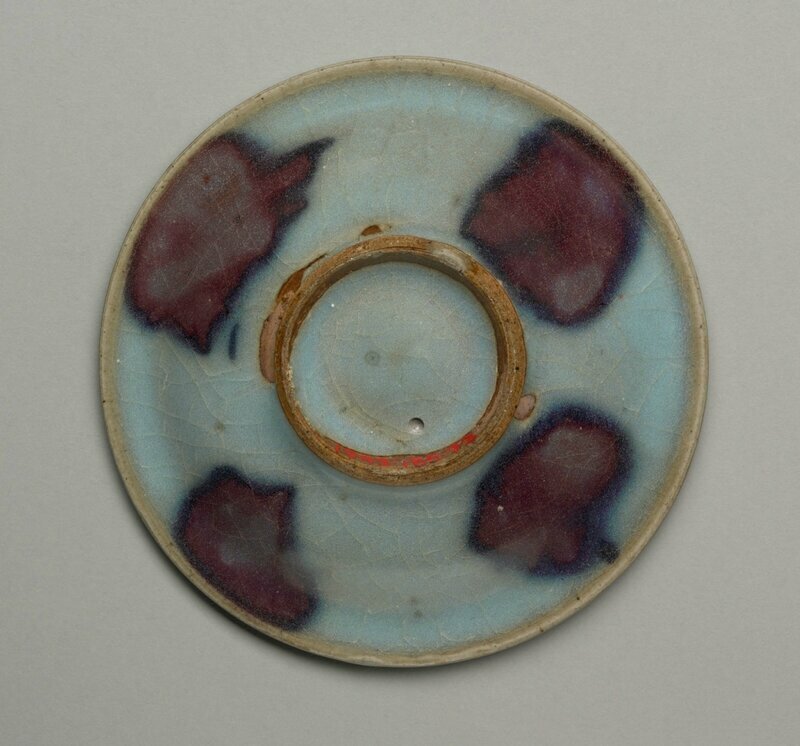 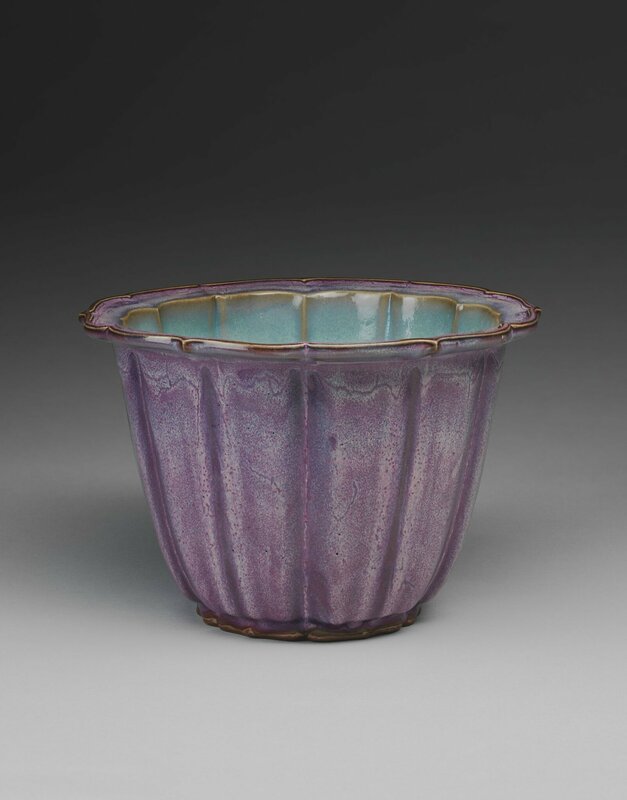 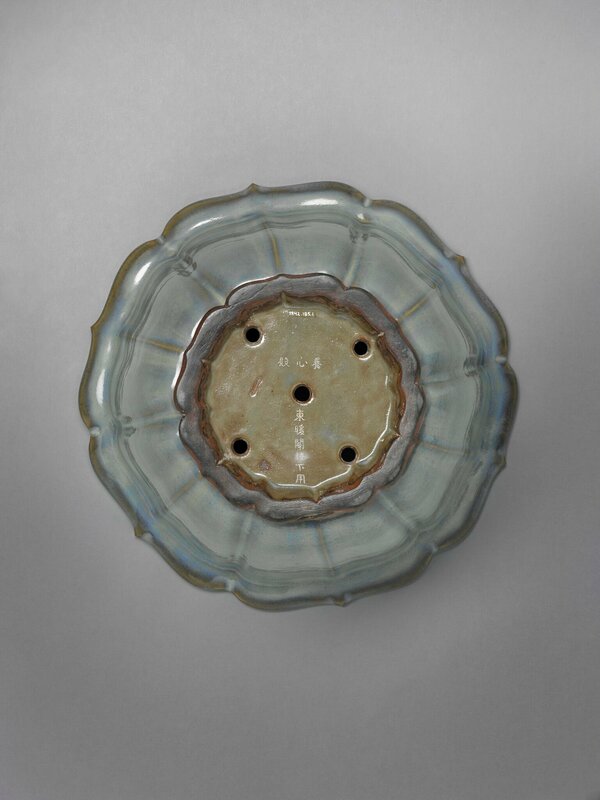 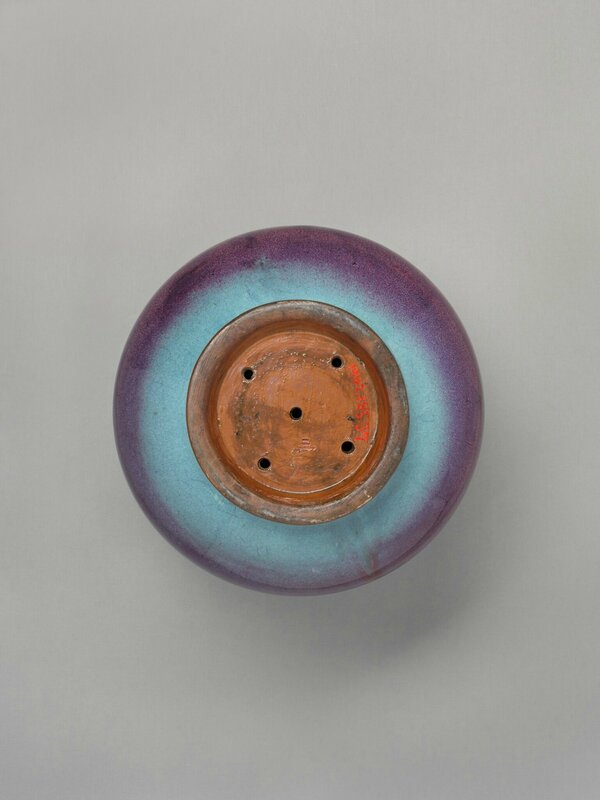 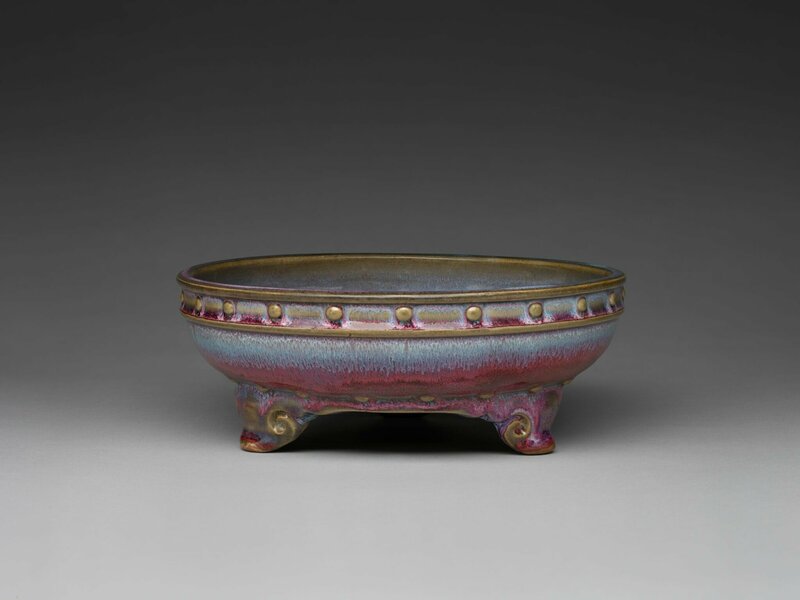 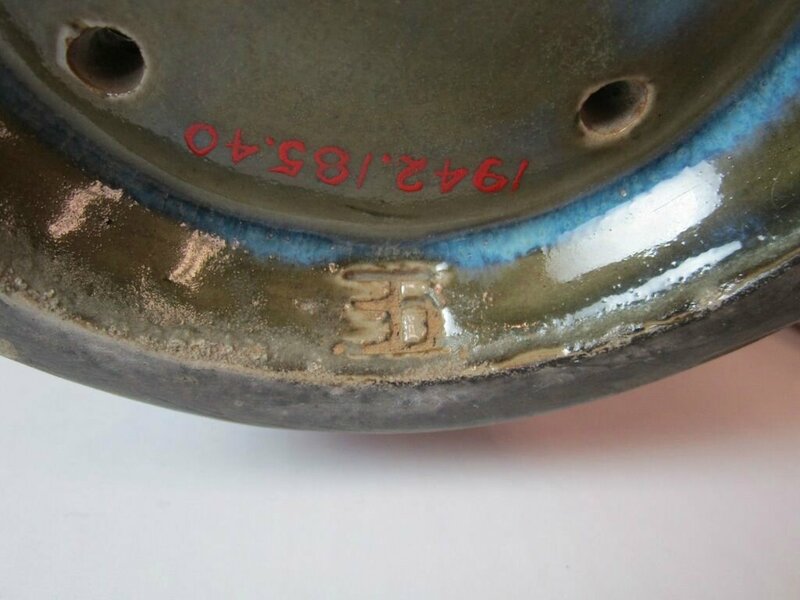 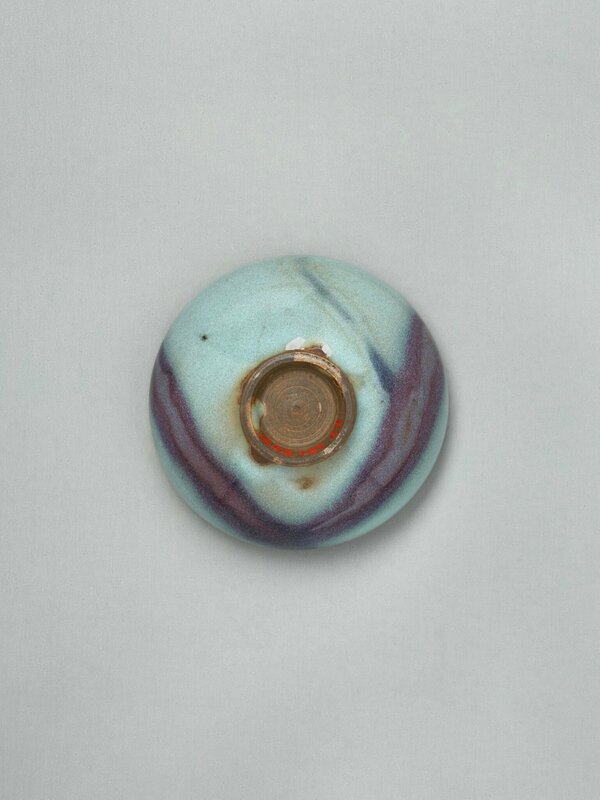 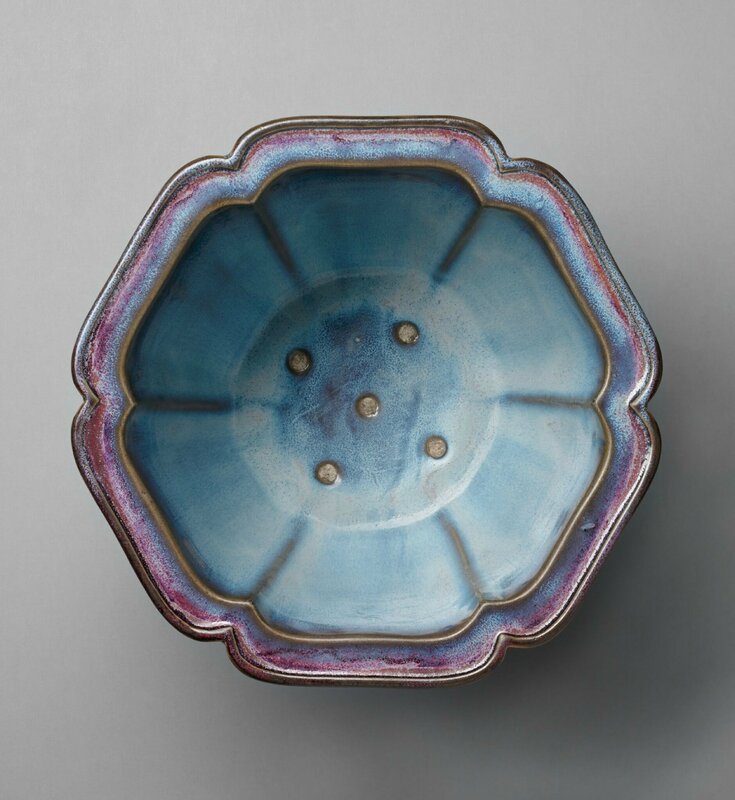 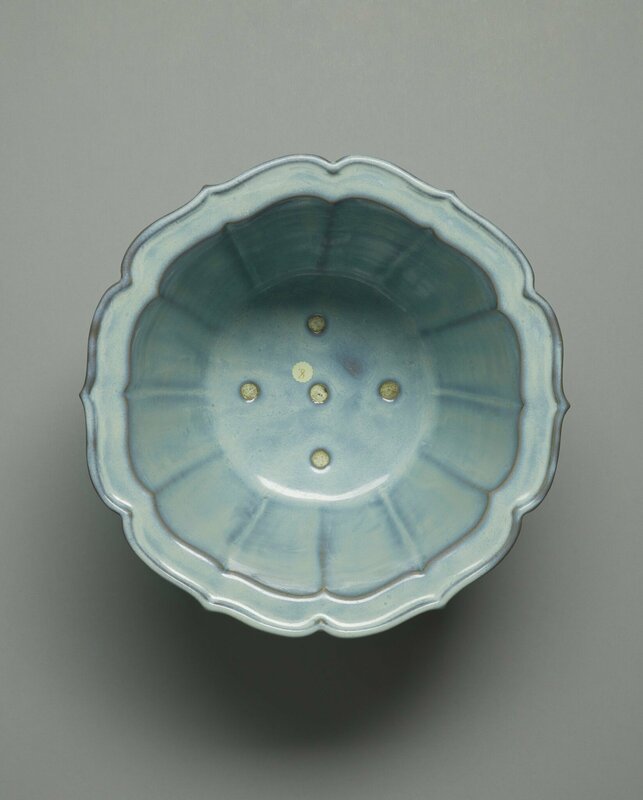 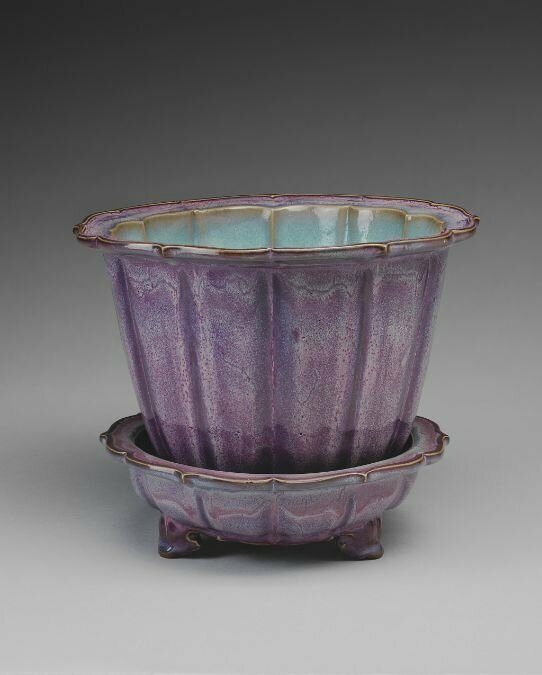 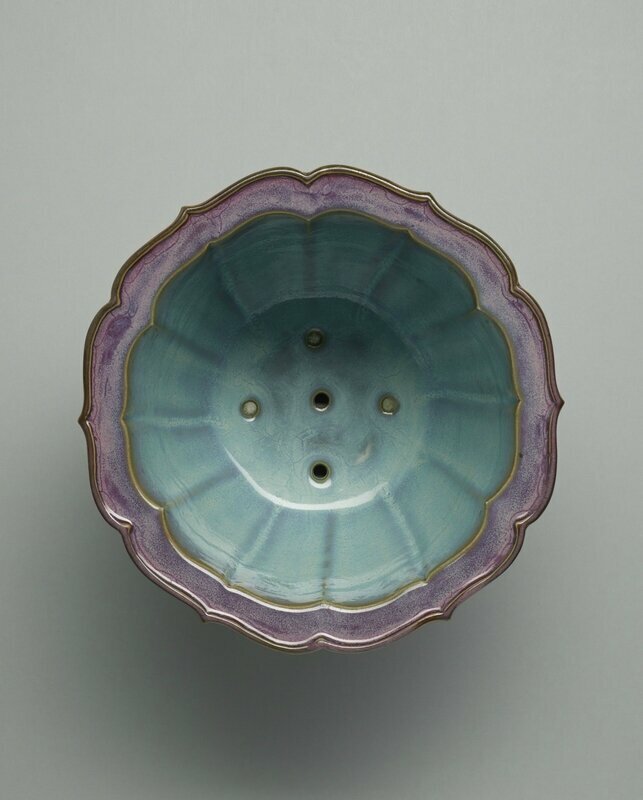 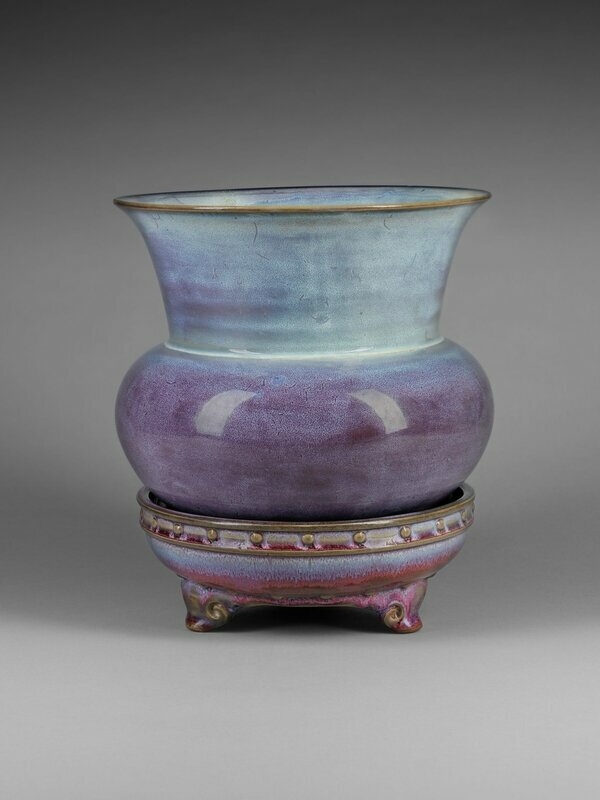 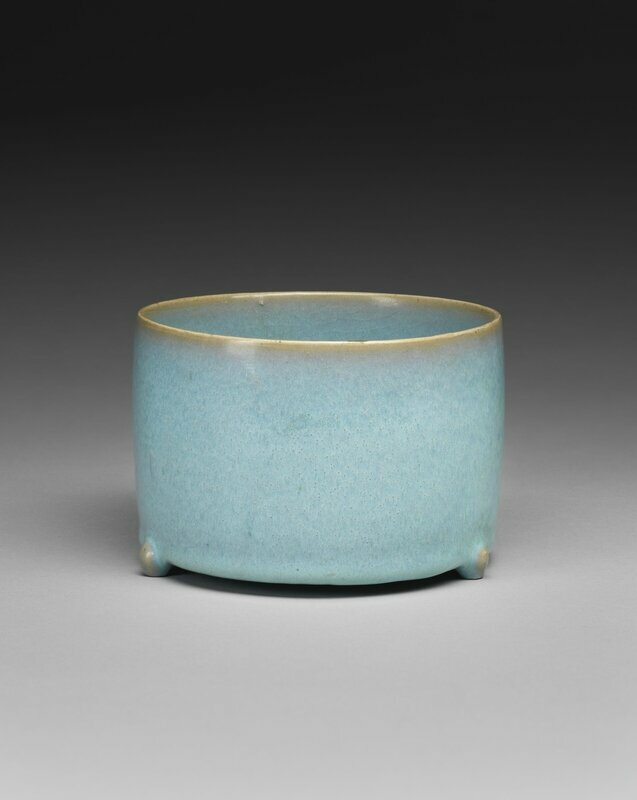 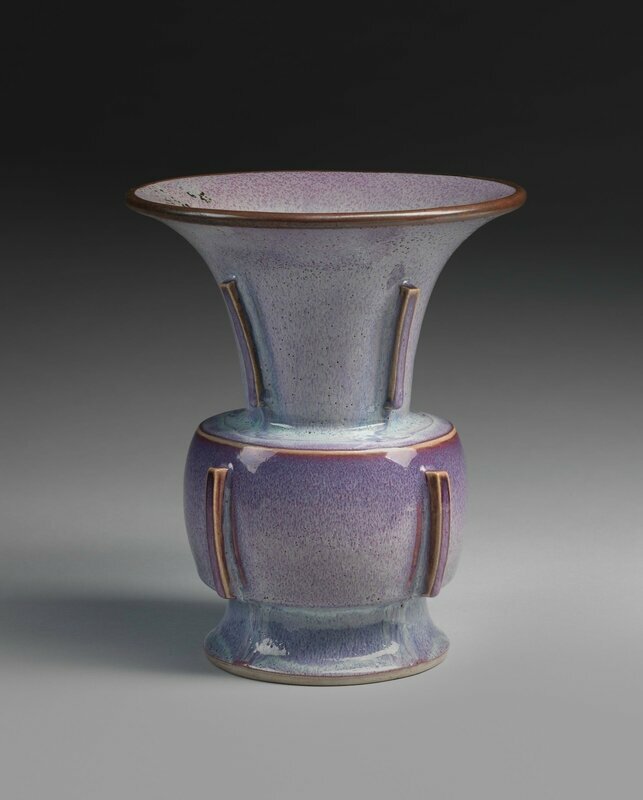 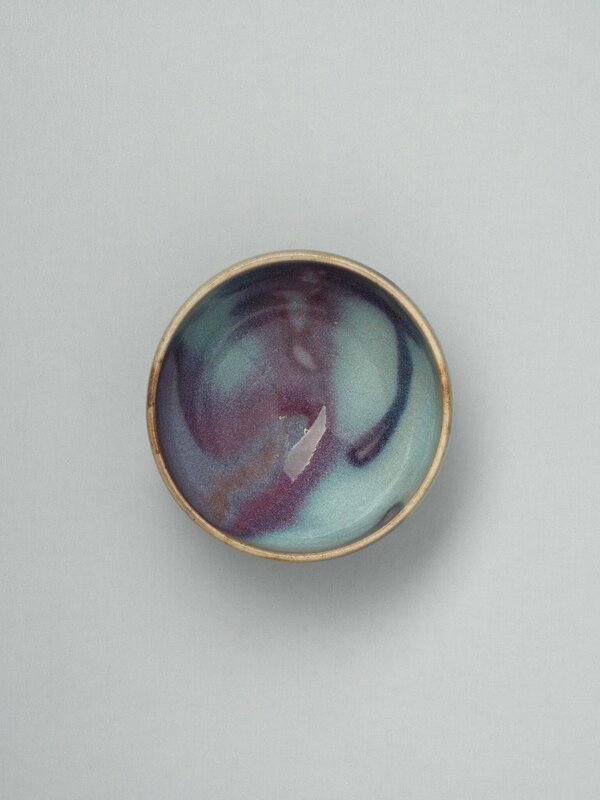 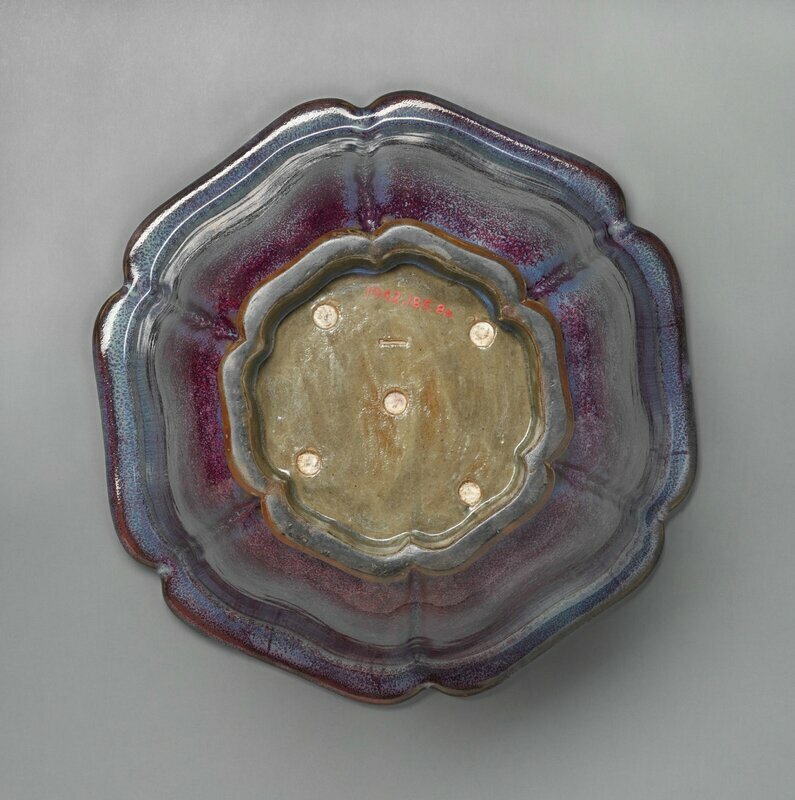 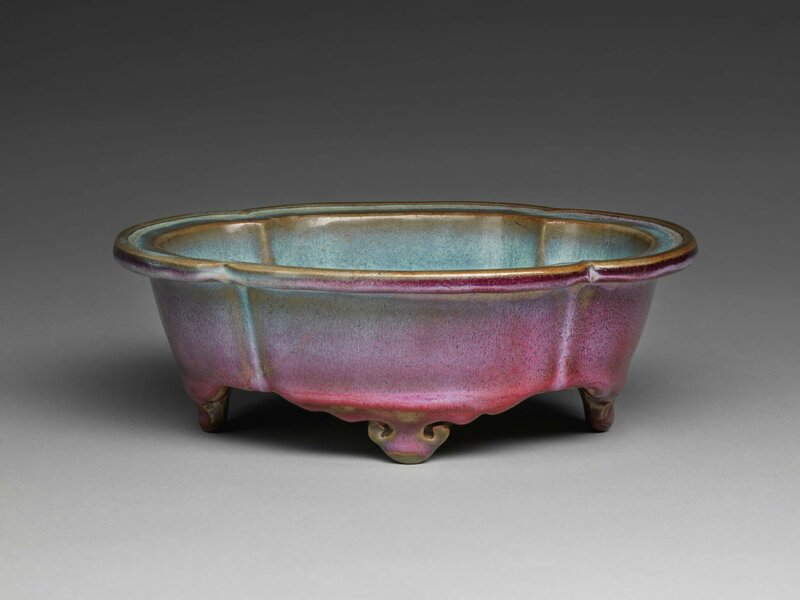 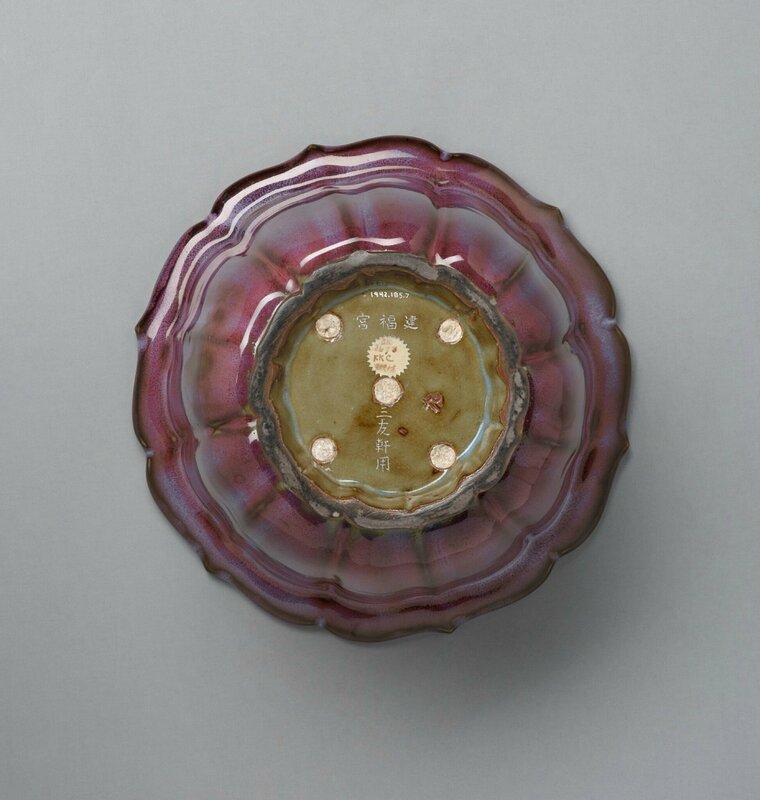 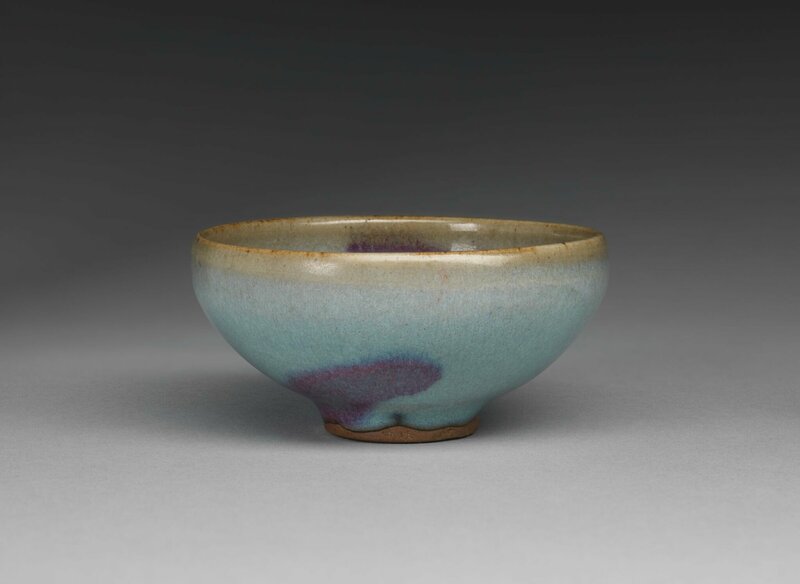 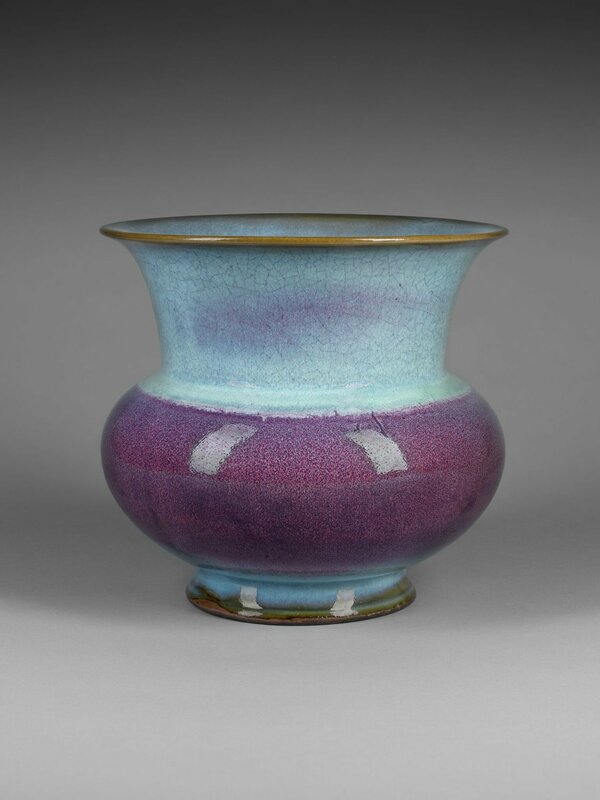 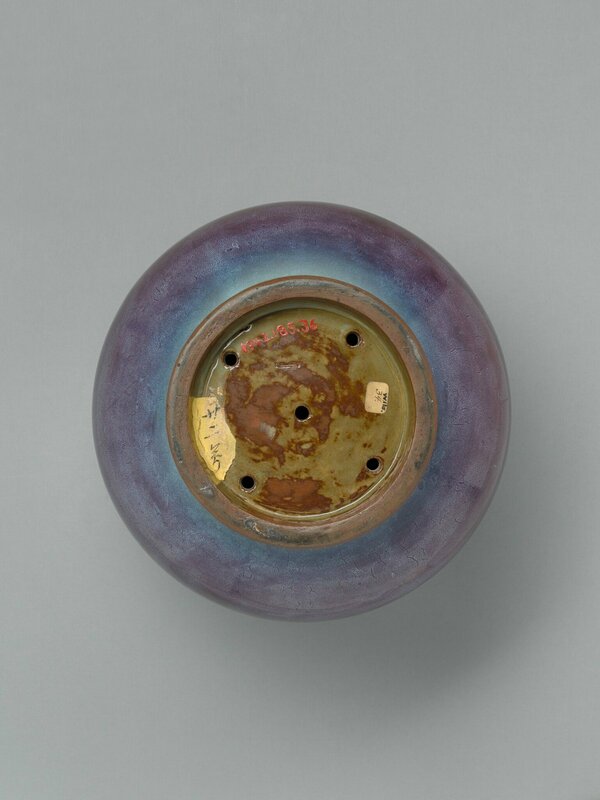 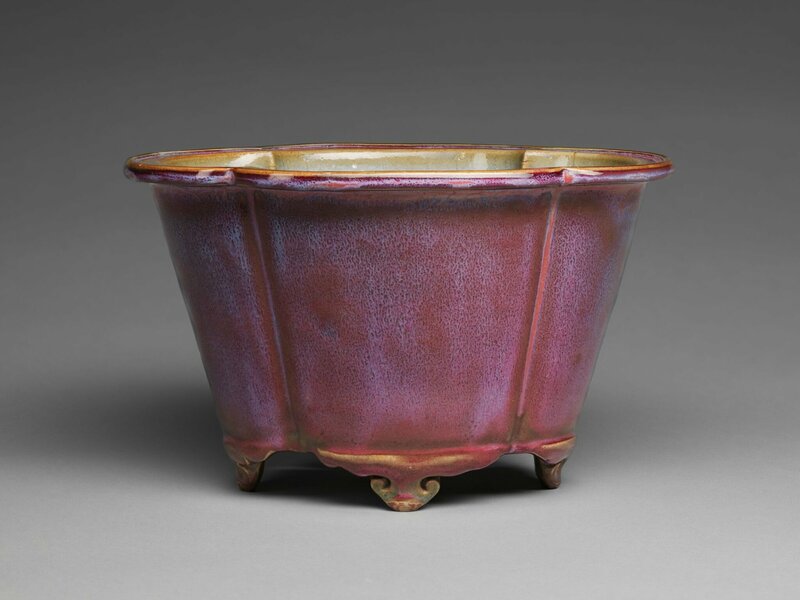 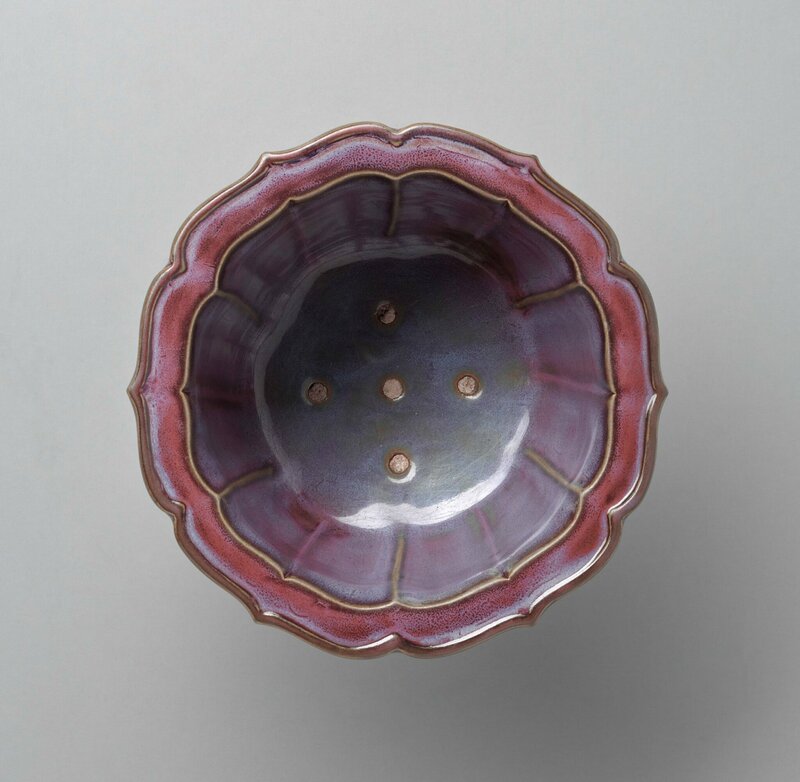 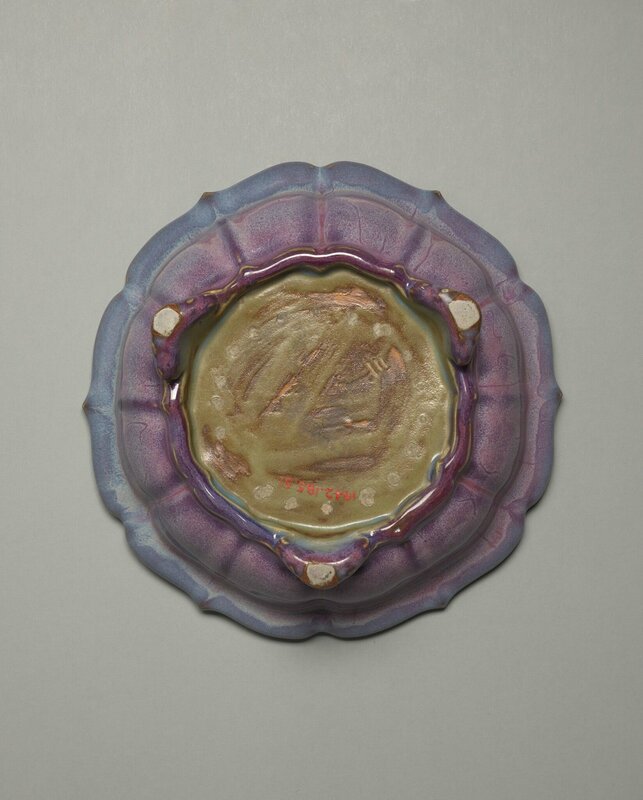 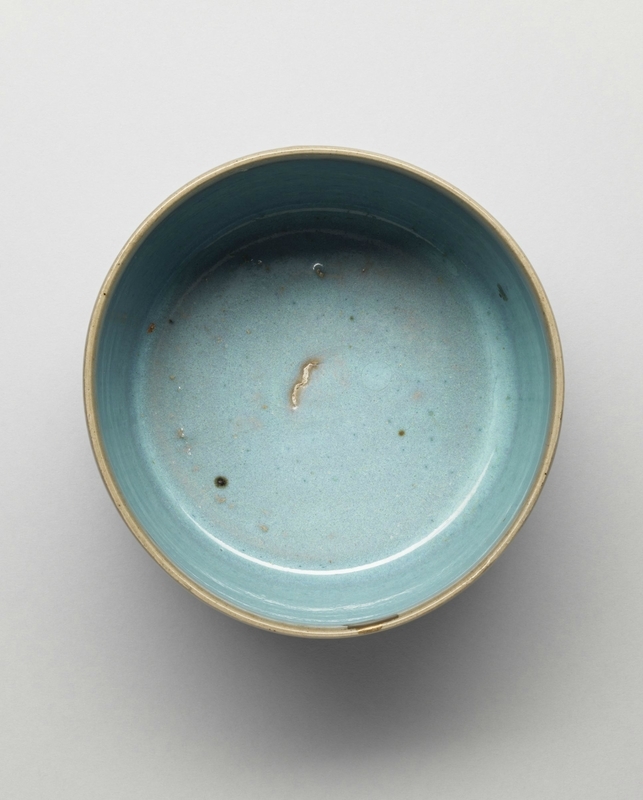 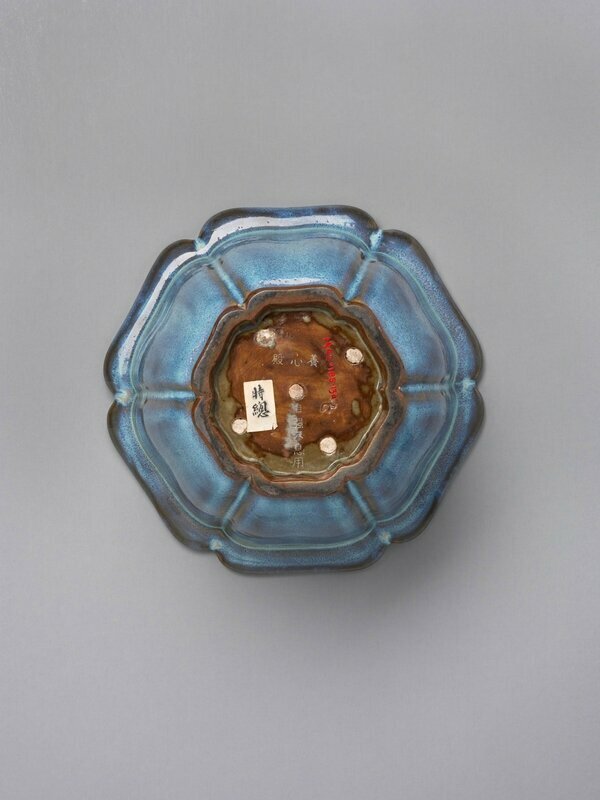 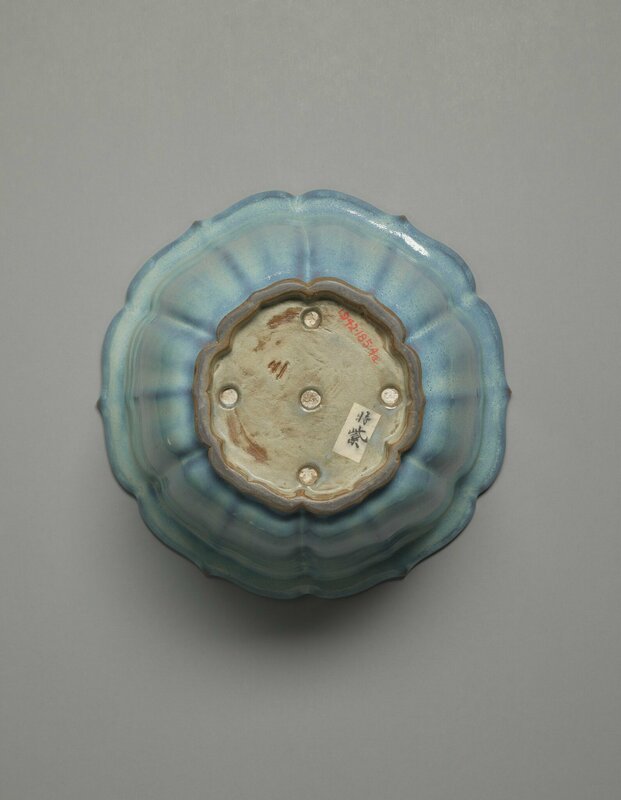 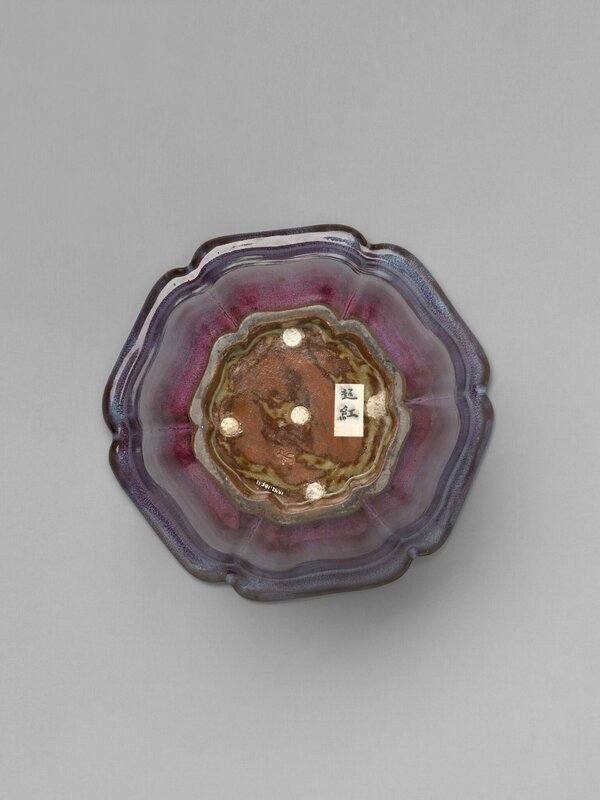 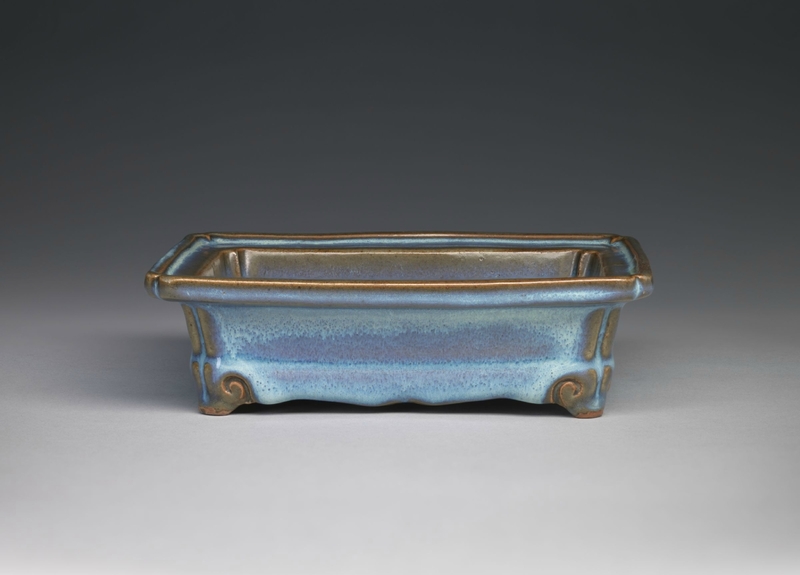 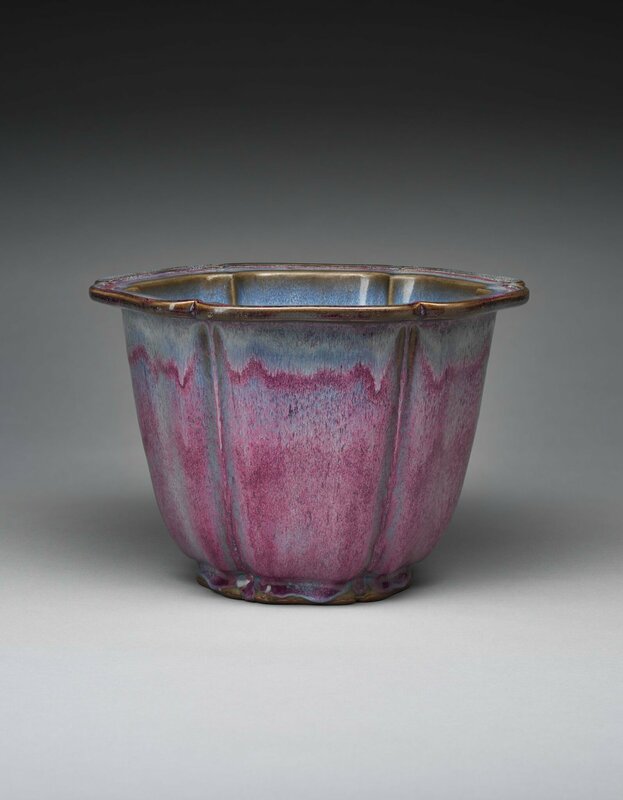 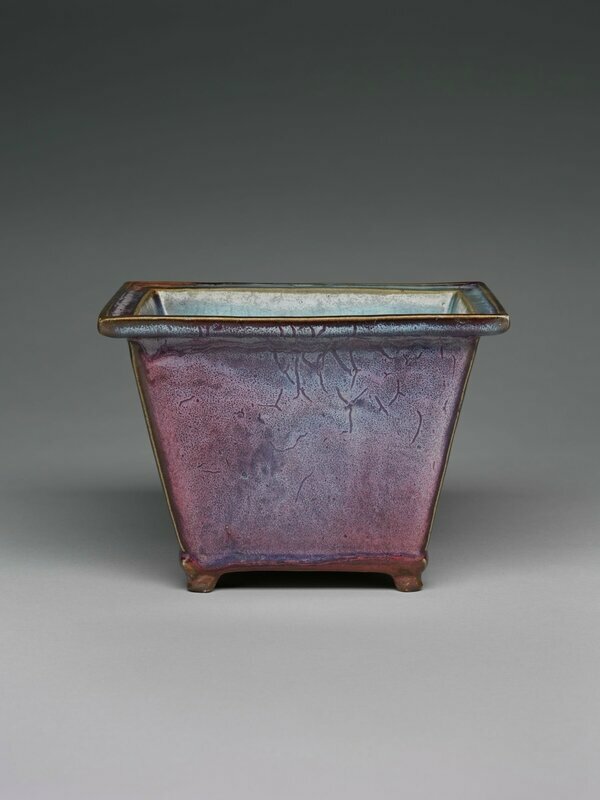 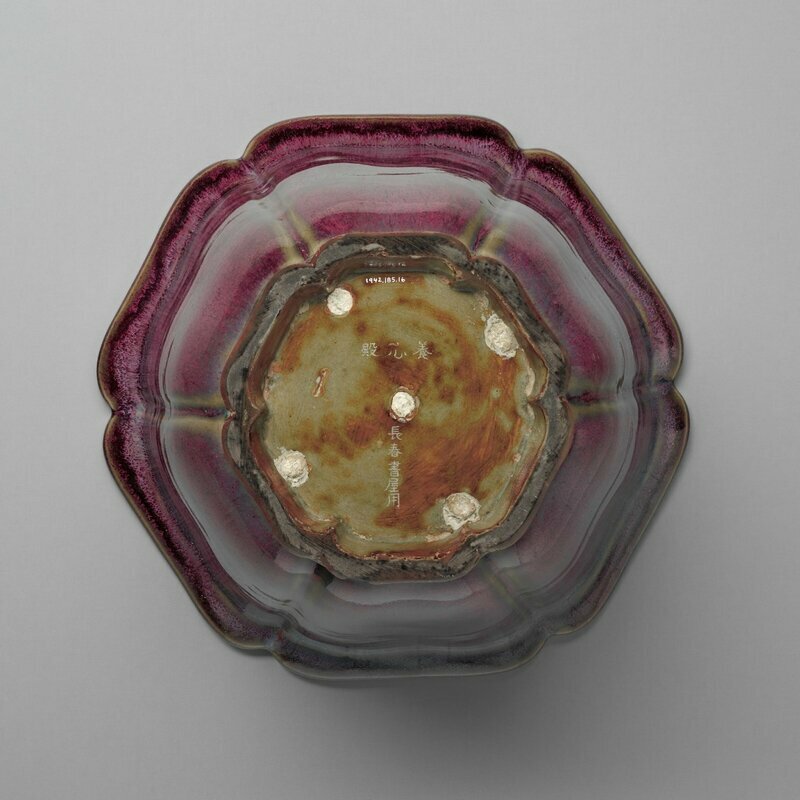 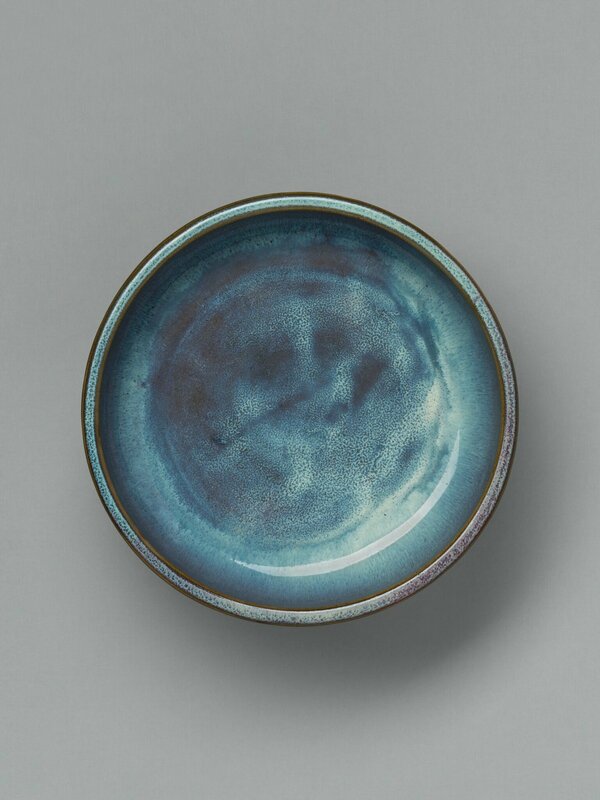 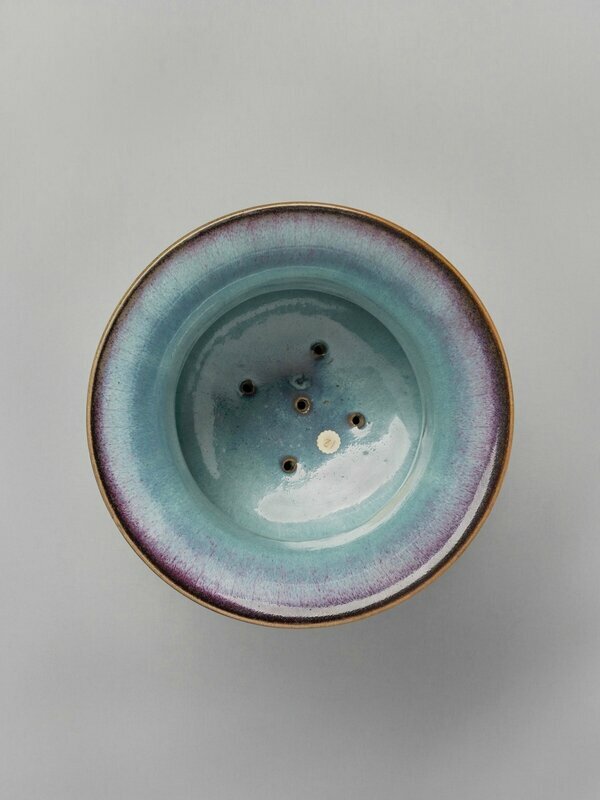 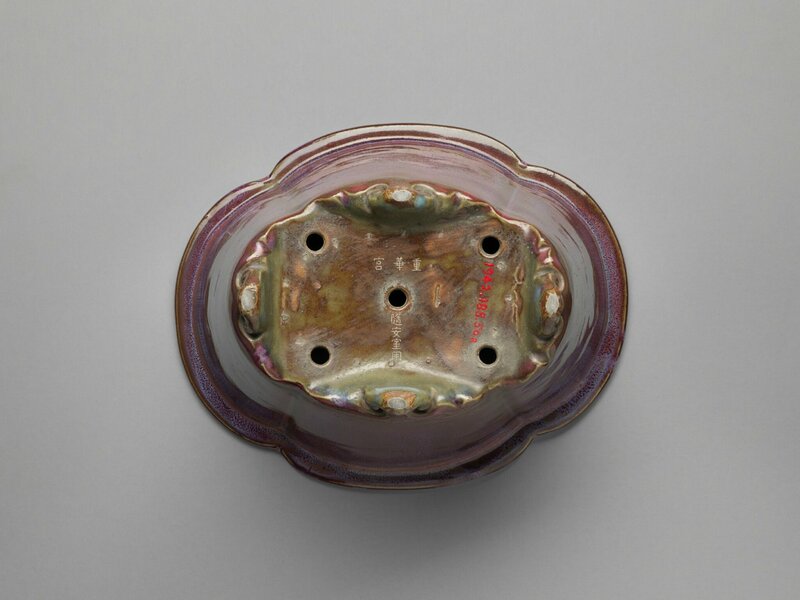 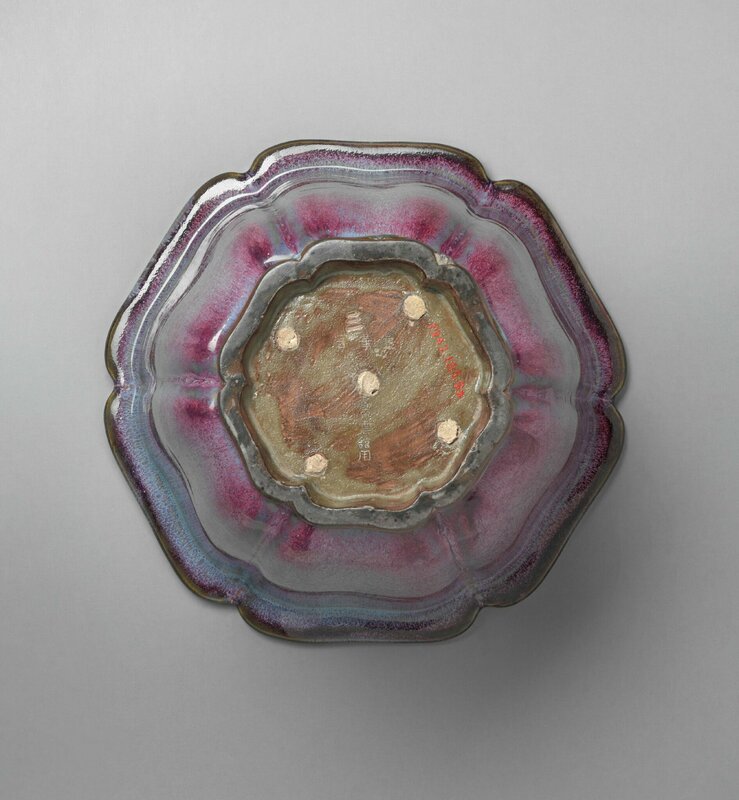 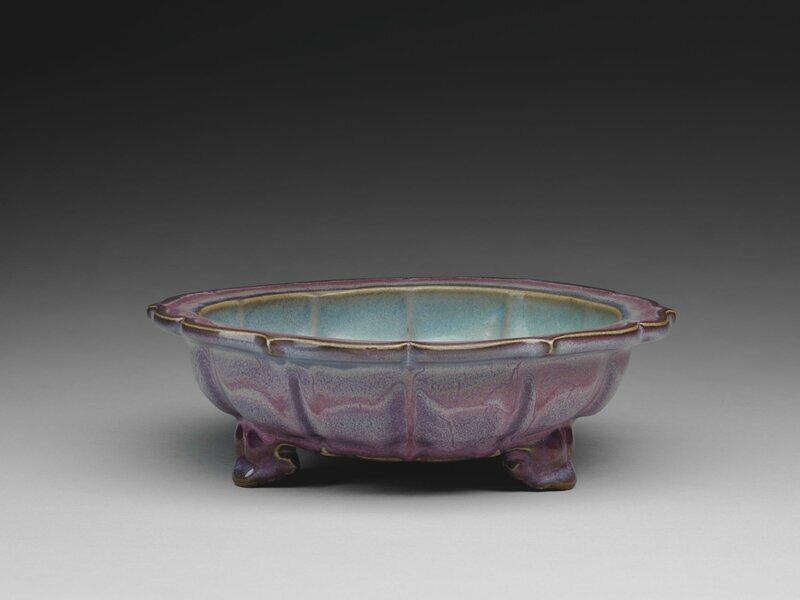 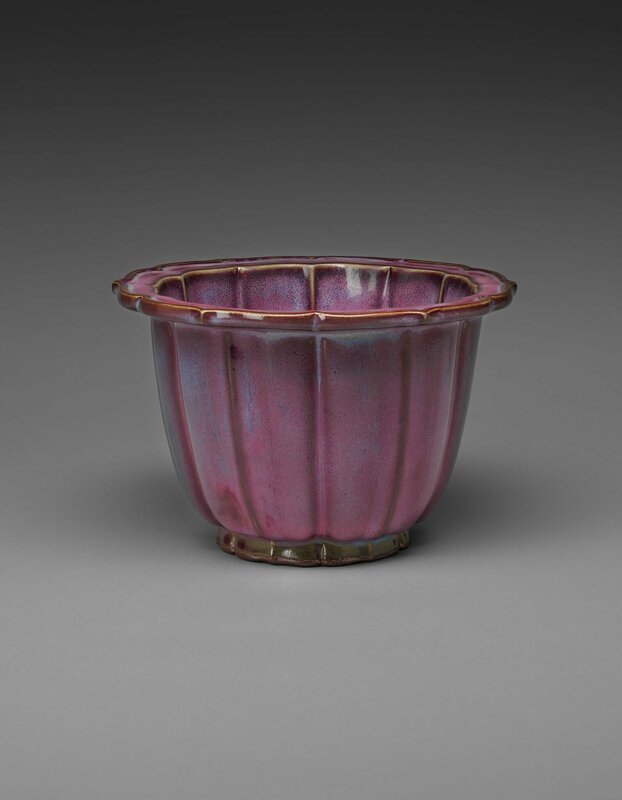 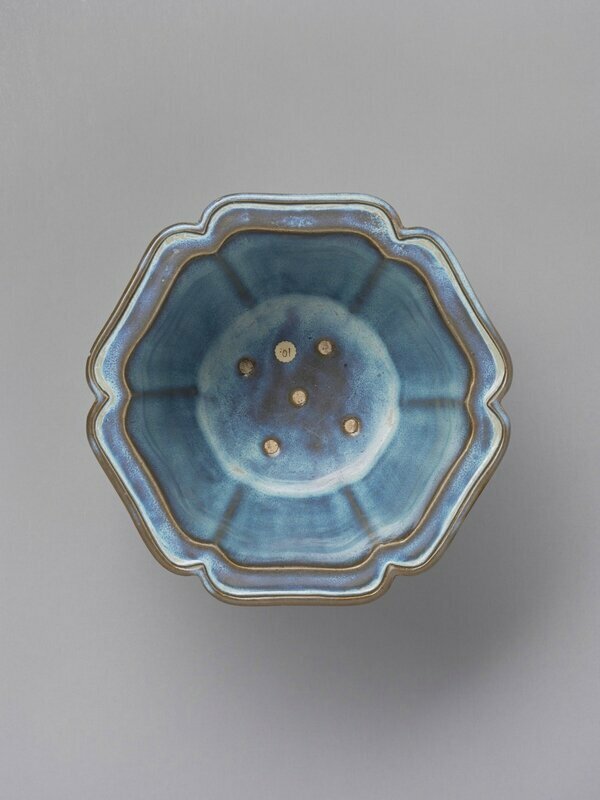 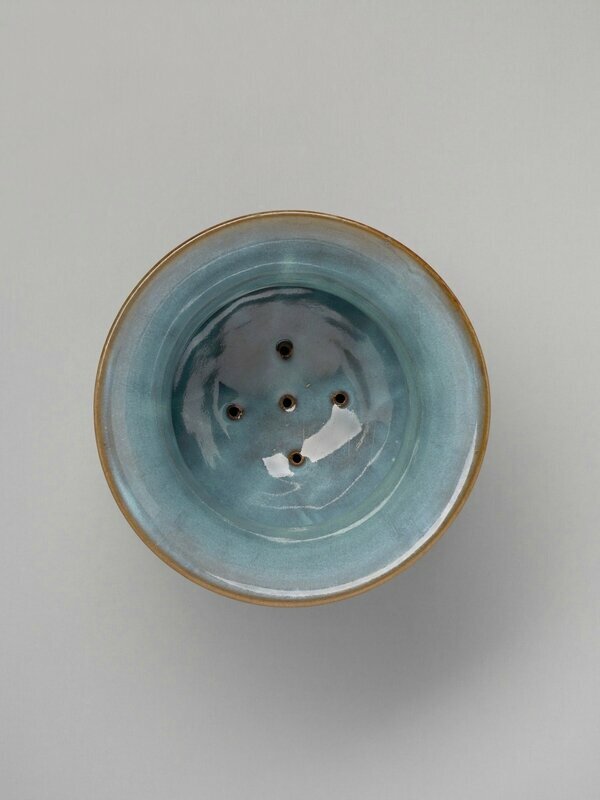 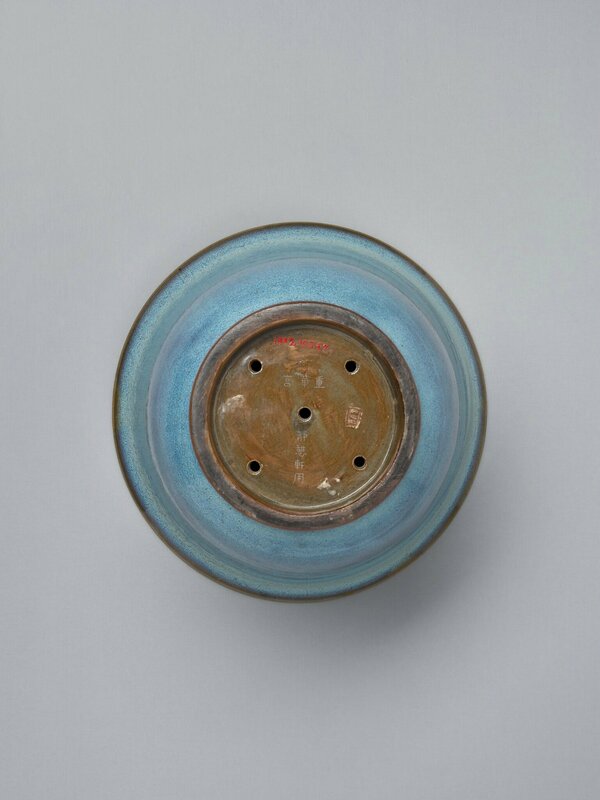 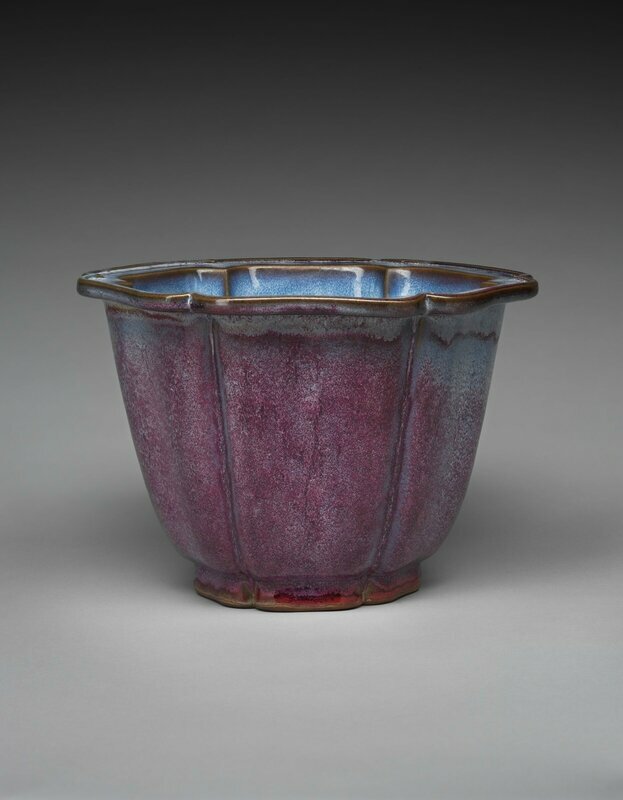 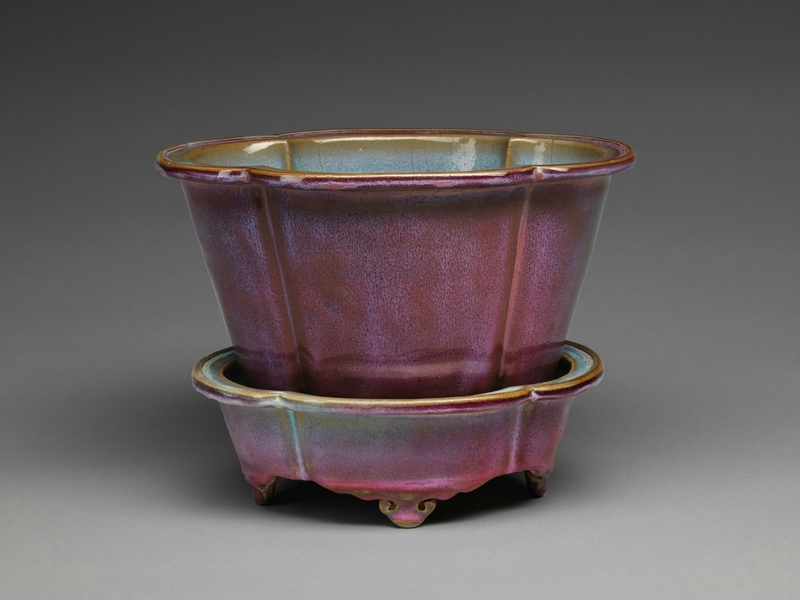 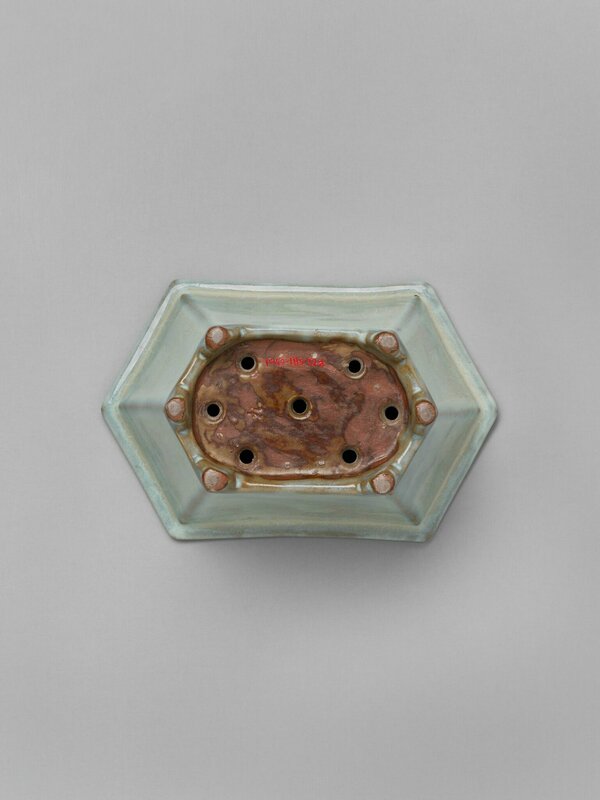 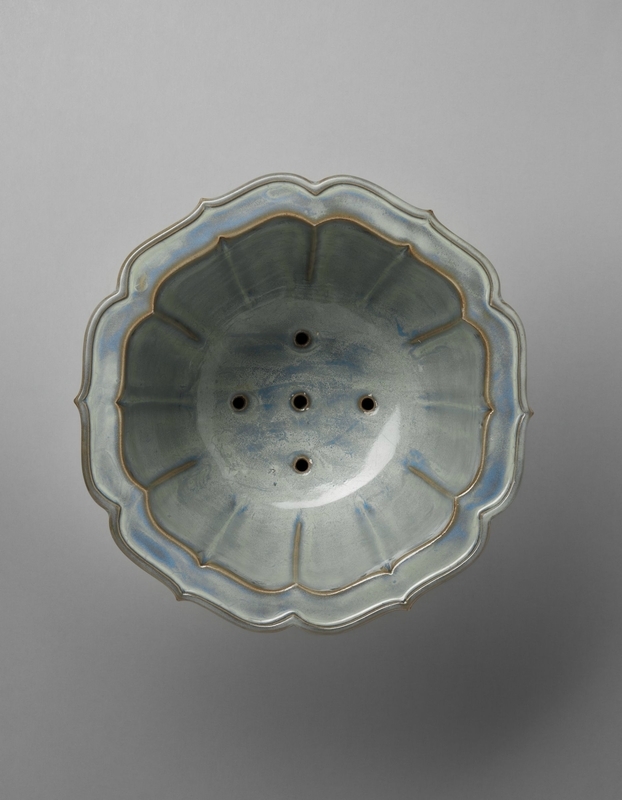 These numbered Jun wares—so named because each is marked on its base with a single Chinese numeral—have long been admired for their fine potting, distinctive shapes, and radiant purple and blue glazes. 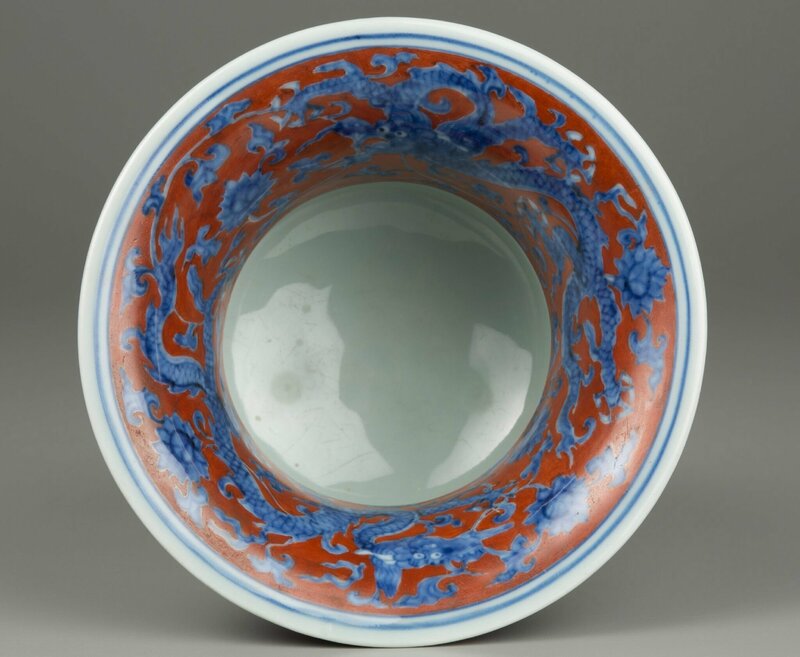 Opinions on these vessels’ dates of origin vary widely, and given the scarcity of numbered Jun in most museum collections, a comprehensive study of this unusual ware has never been undertaken outside the imperial collections in China and Taiwan. 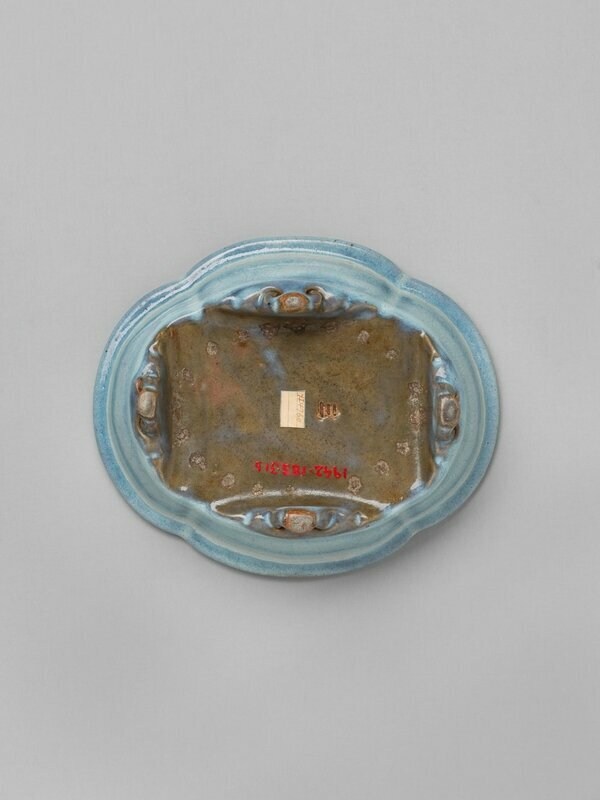 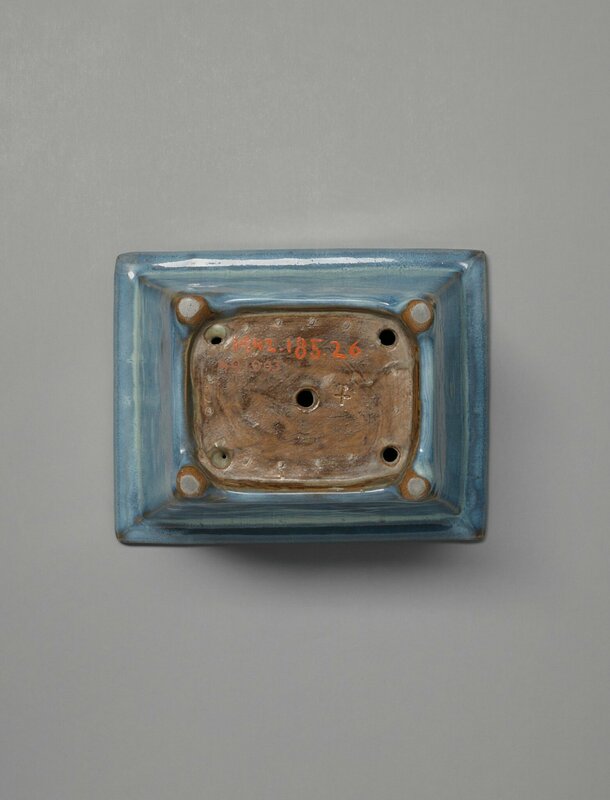 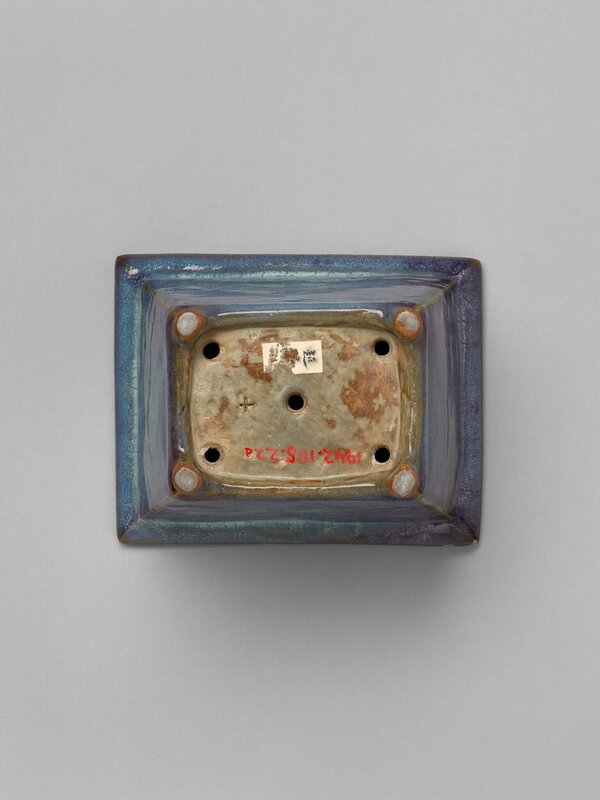 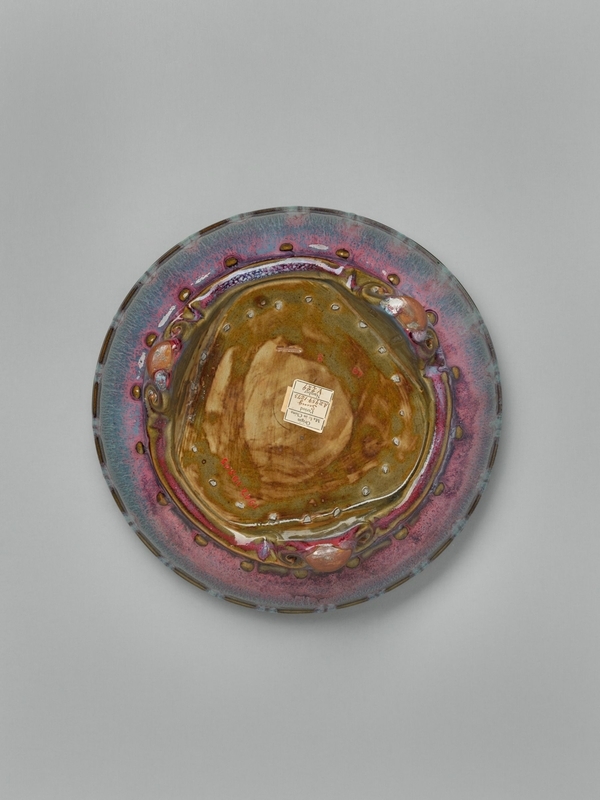 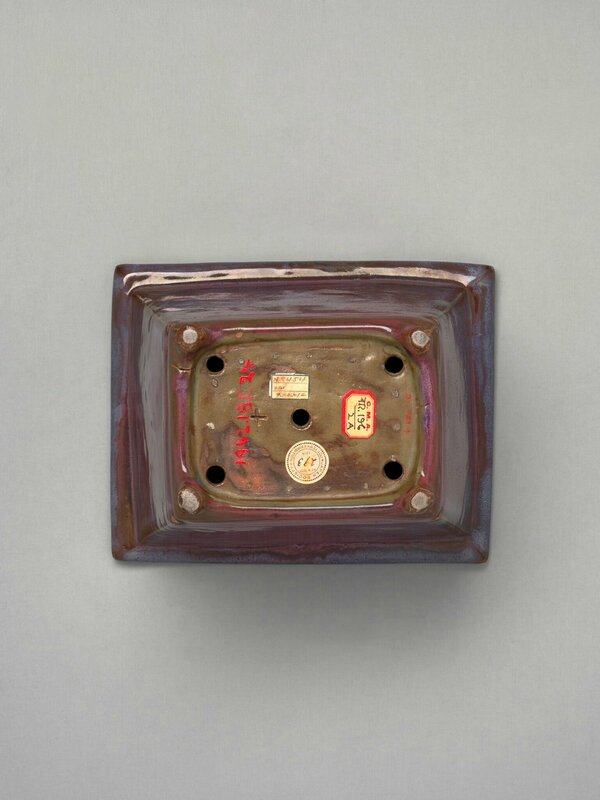 Drawn entirely from the museums’ permanent collections, this exhibition introduces the typology, technical characteristics, collecting history, and controversies surrounding numbered Jun ware. 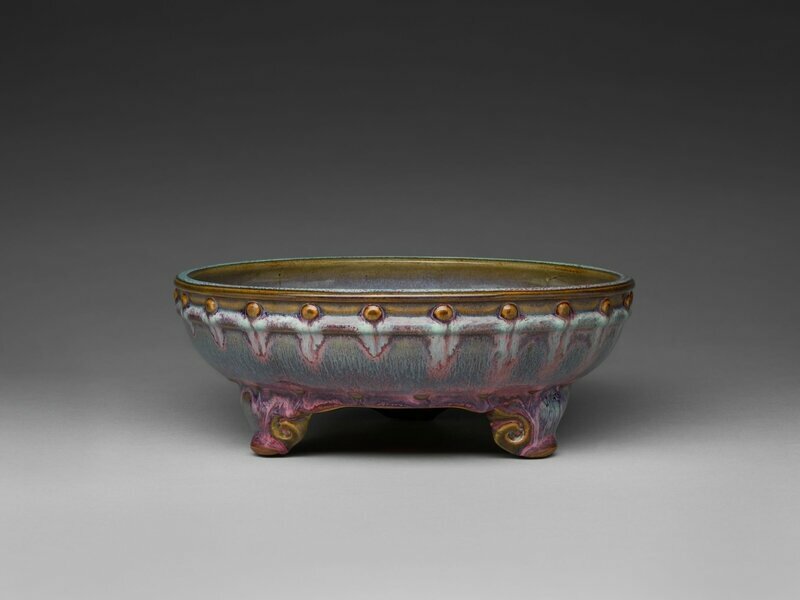 It features approximately half of the museums’ 60 numbered Jun, all of which were given to Harvard in 1942 by Boston-area collectors Ernest B. Dane (Harvard College Class of 1892) and his wife Helen Pratt Dane. 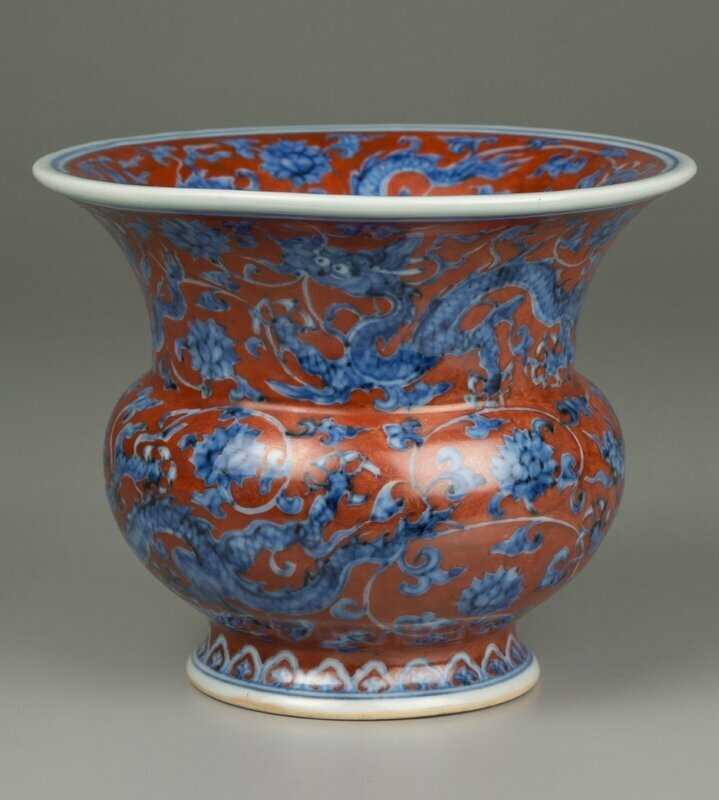 This exhibition marks the 75th anniversary of the Danes’ extraordinary gift of nearly 300 Chinese ceramics and later jades. 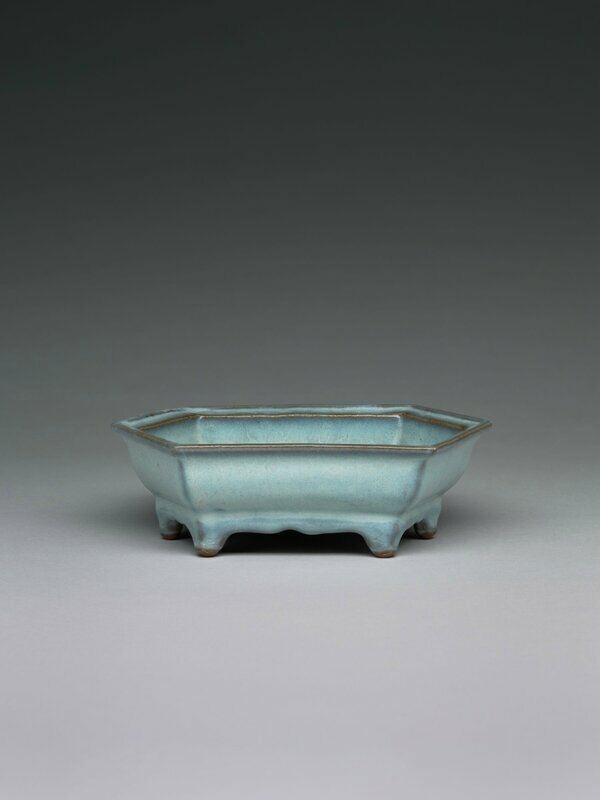 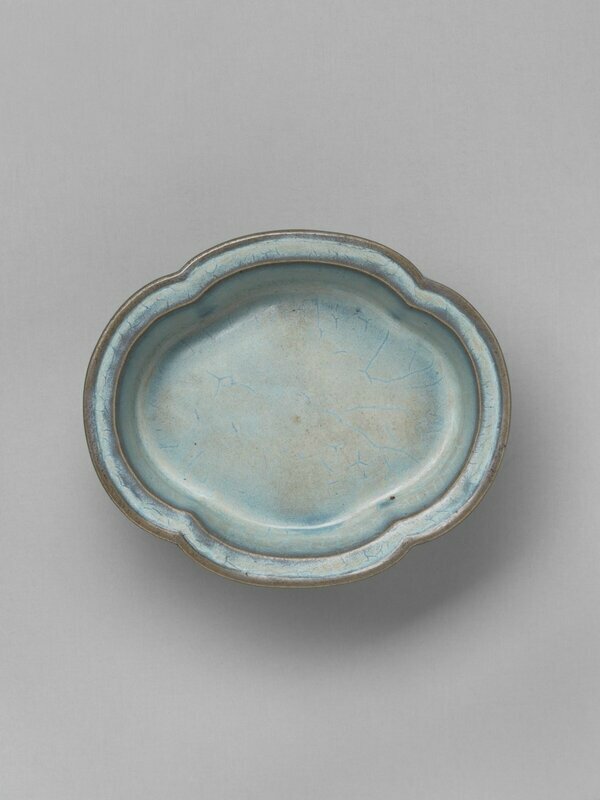 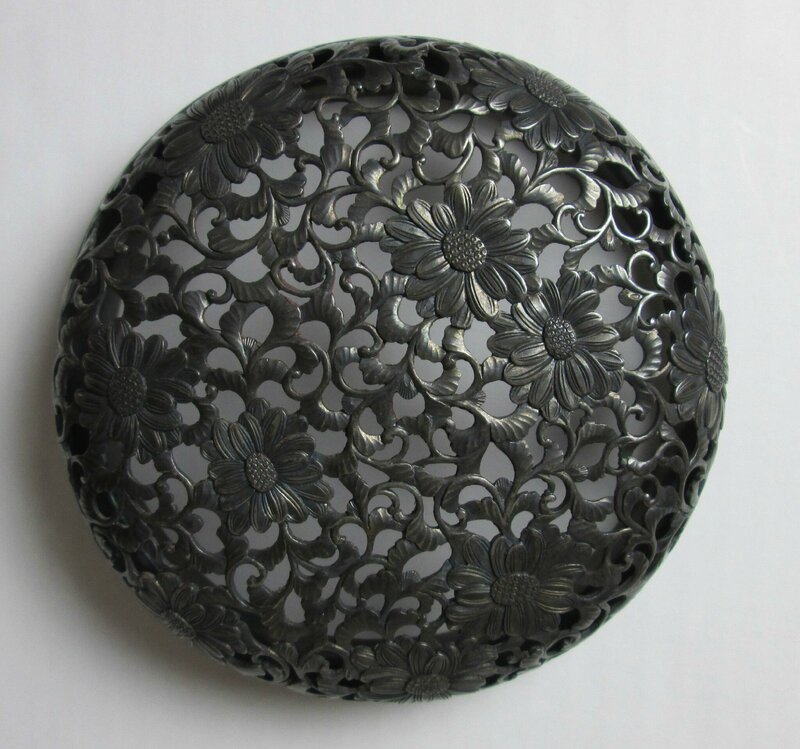 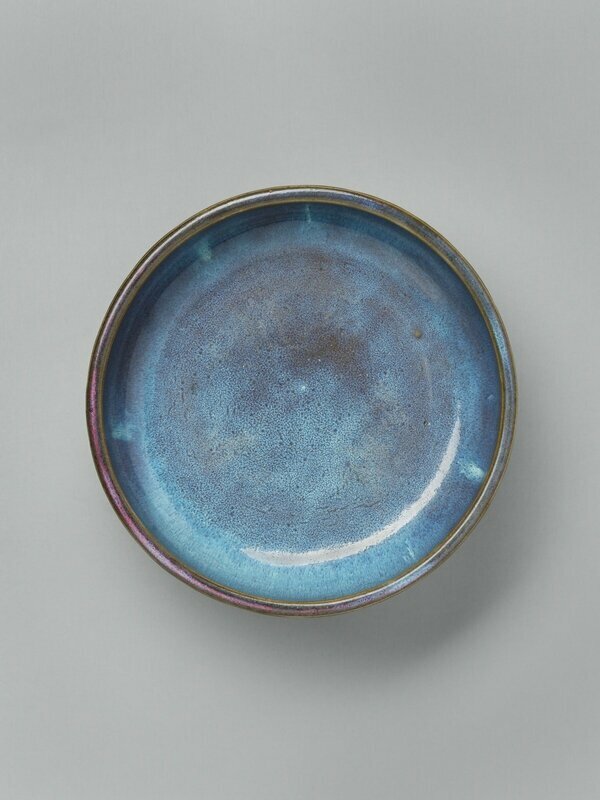 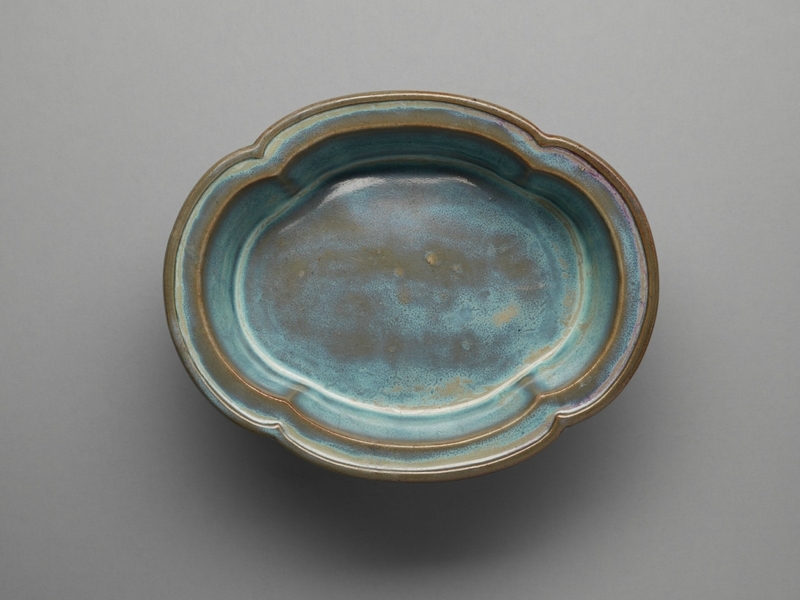 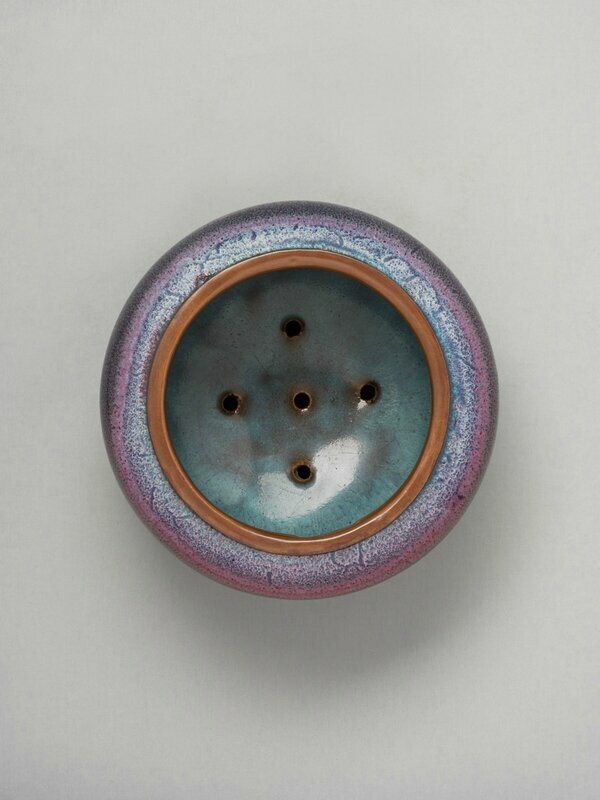 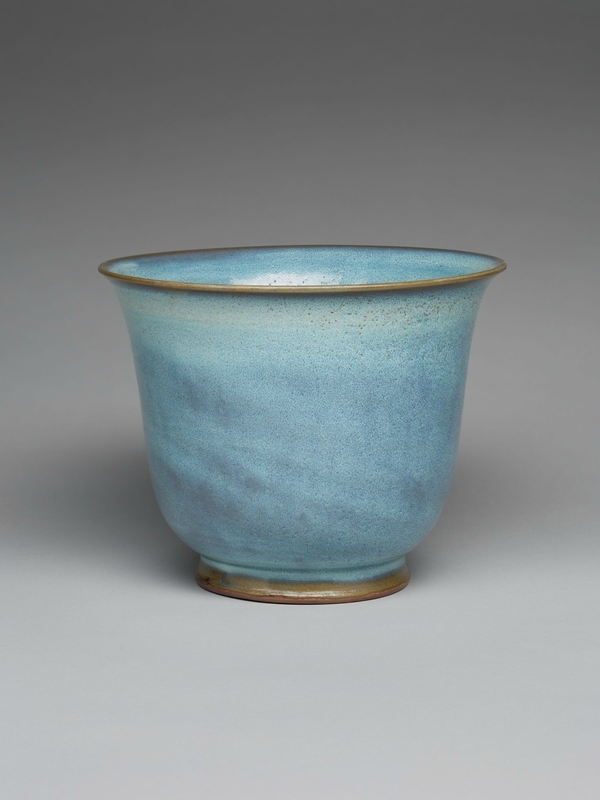 It is also the first focused exhibition of their unique collection of palace Jun ware since it came to Harvard. 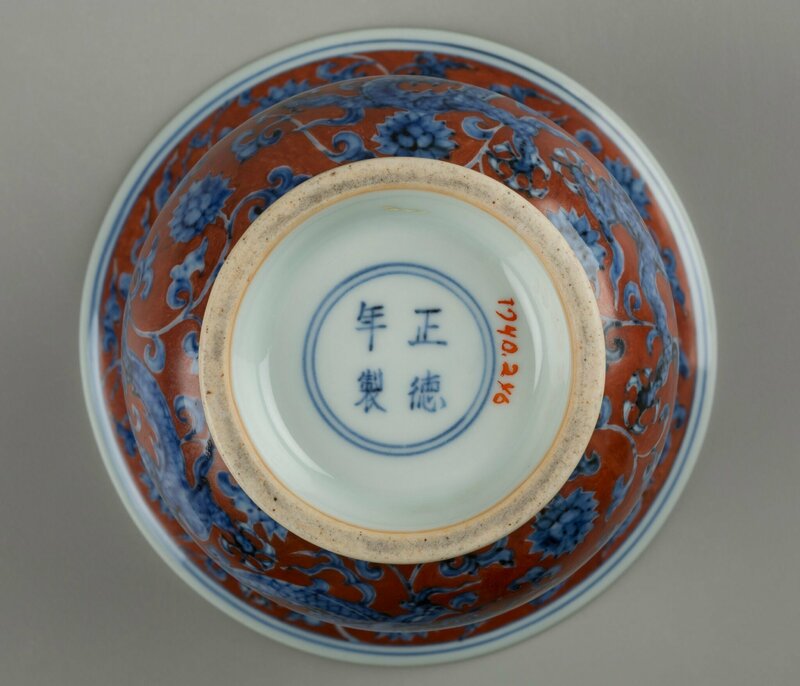 The exhibition will be complemented by an online special collections feature that provides further contextualization and analytical research on Harvard’s entire numbered Jun collection. 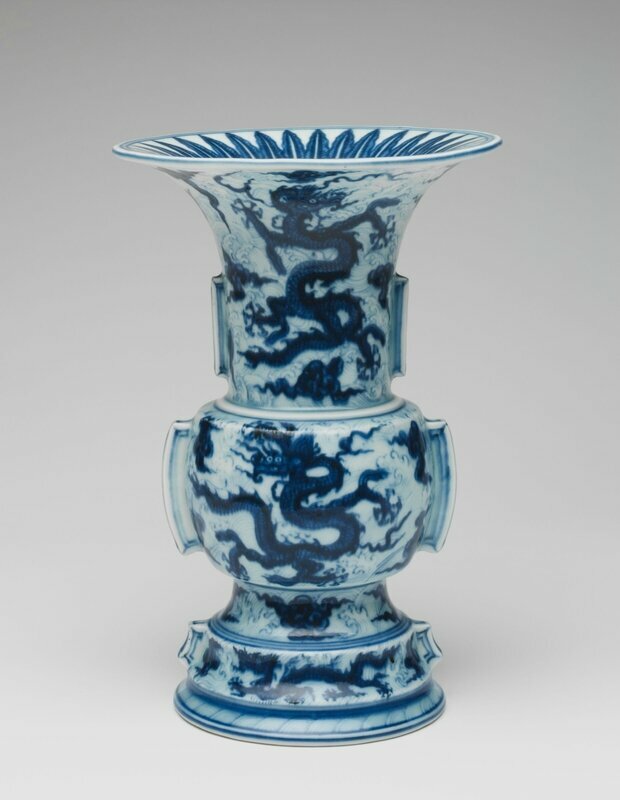 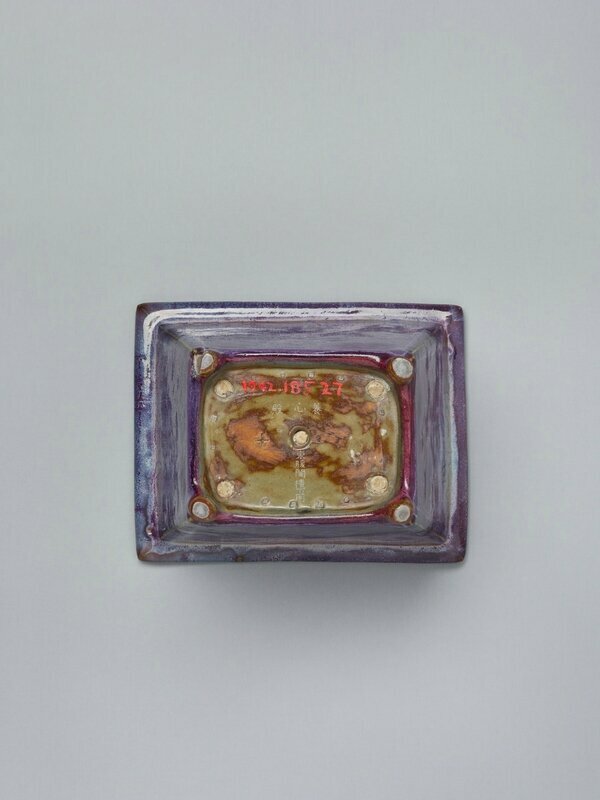 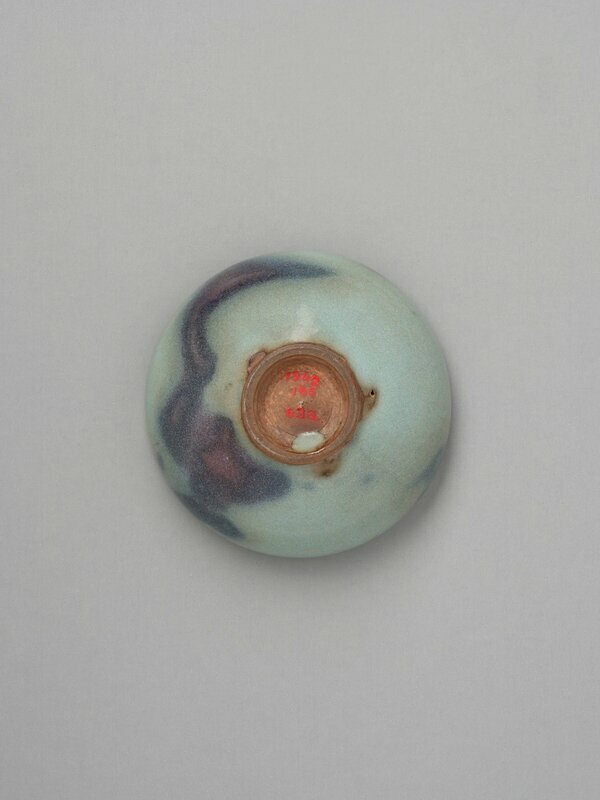 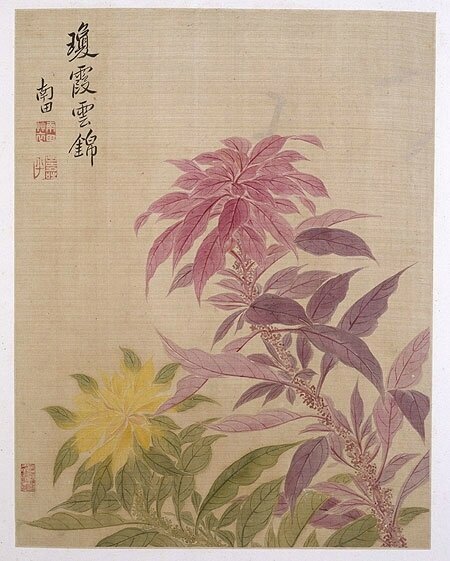 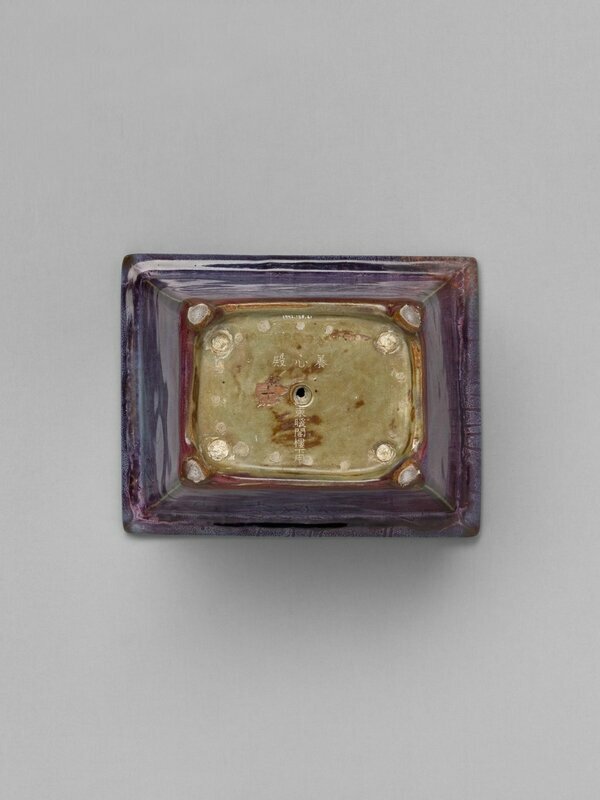 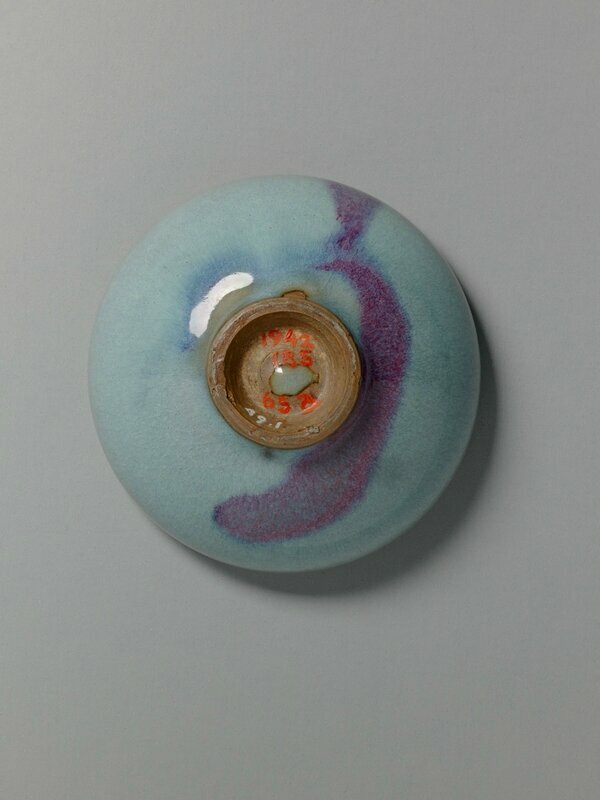 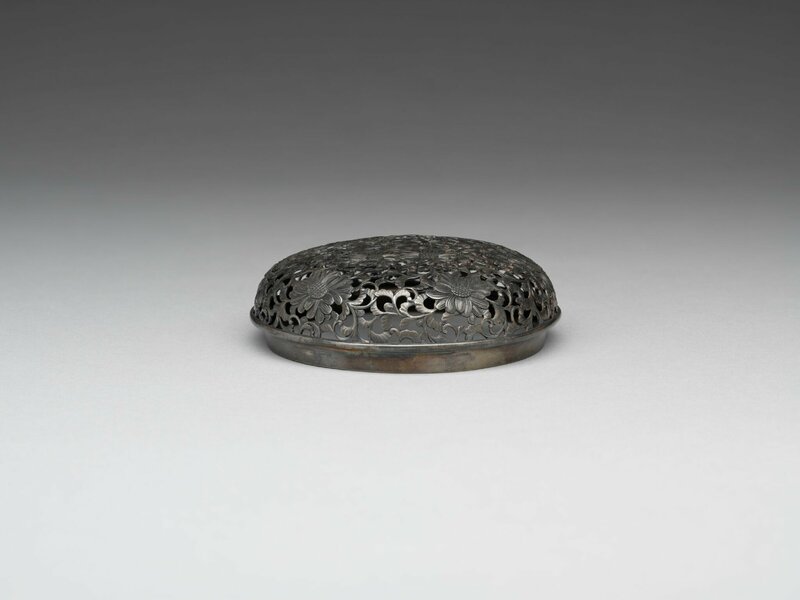 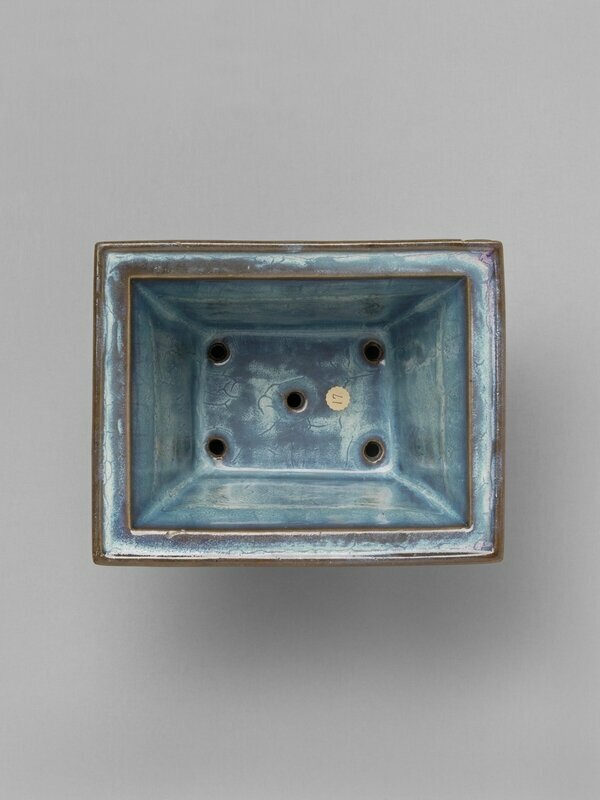 Curated by Melissa A. Moy, the Alan J. Dworsky Associate Curator of Chinese Art at the Harvard Art Museums. 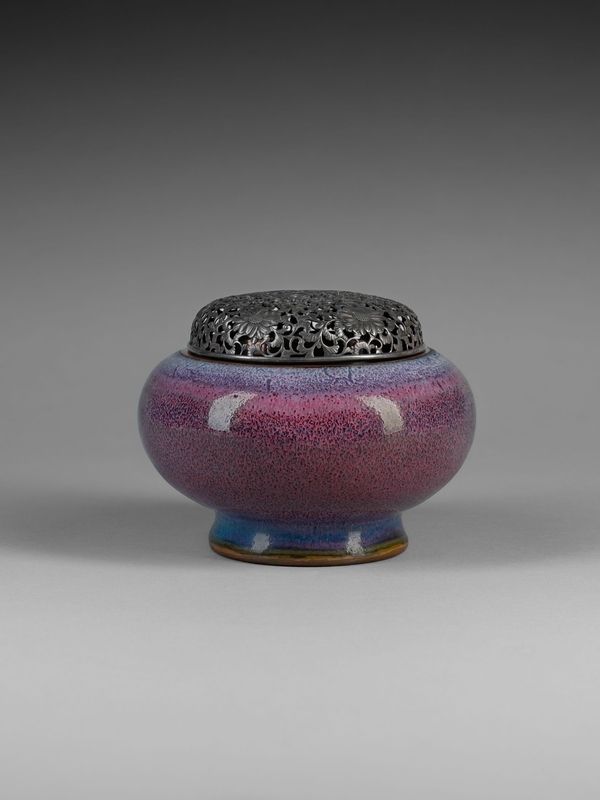 The exhibition and online special collections feature are funded in part by the Gregory and Maria Henderson Fund and by generous support from Terry and William Carey. May 20, 2017–August 13, 2017. 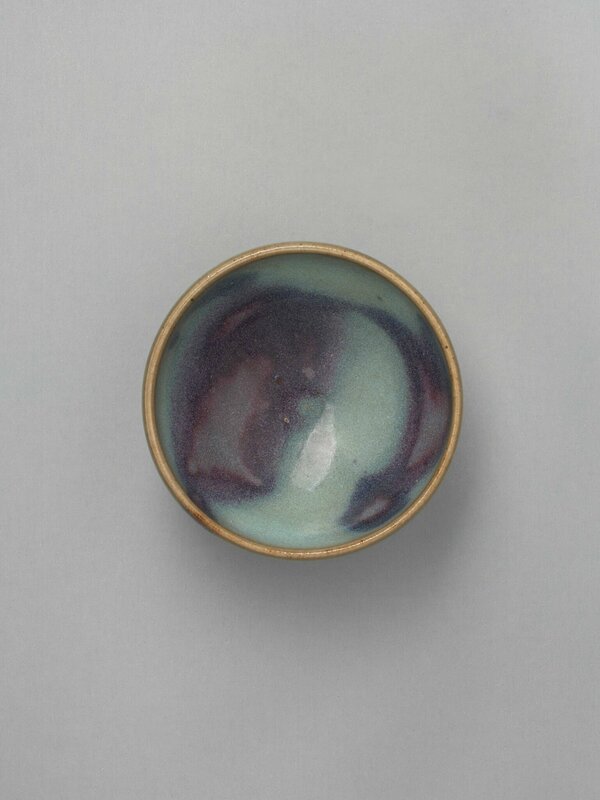 University Teaching Gallery, Harvard Art Museums.